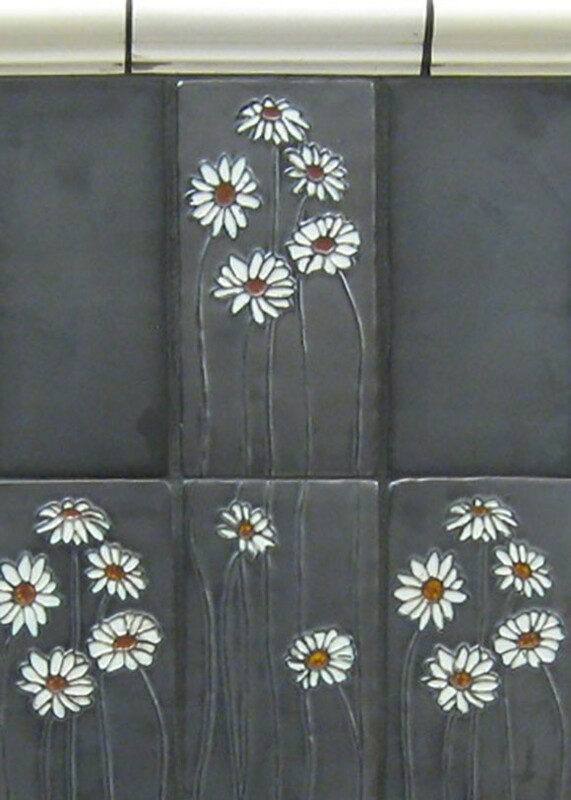 Veruca Red #210 with Camomile #45 flowers. Karmel #105 with Crackle #50 flowers. 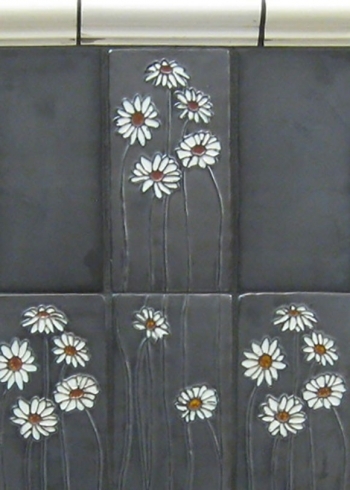 Griffen #85 with Veruca #210 flowers. Griffen #85 with Crackle #50 flowers. 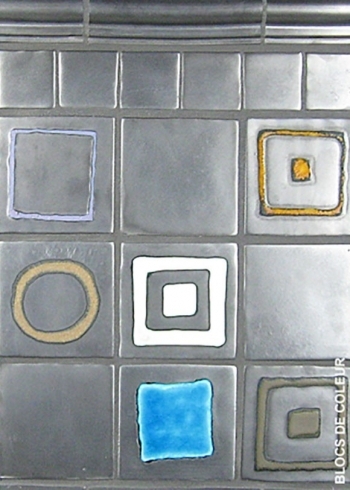 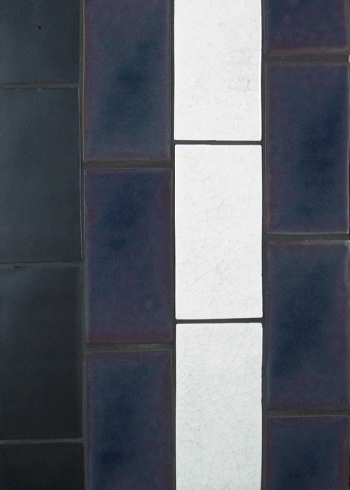 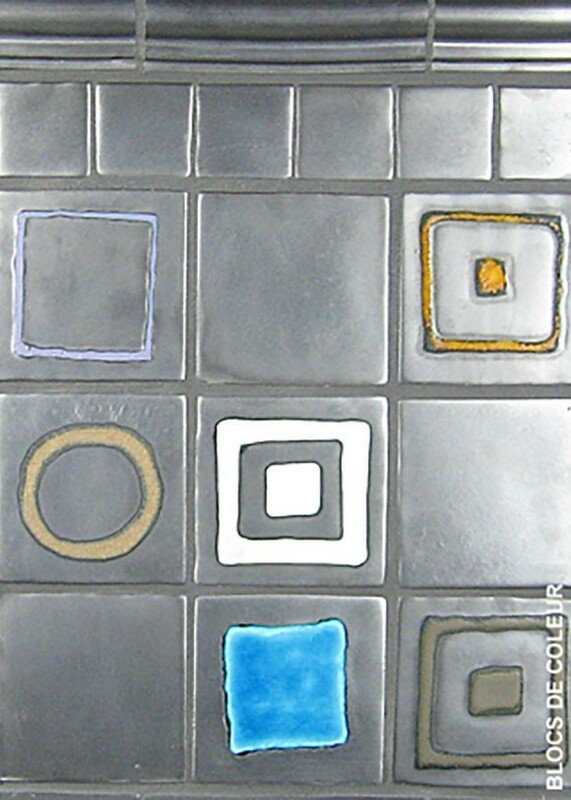 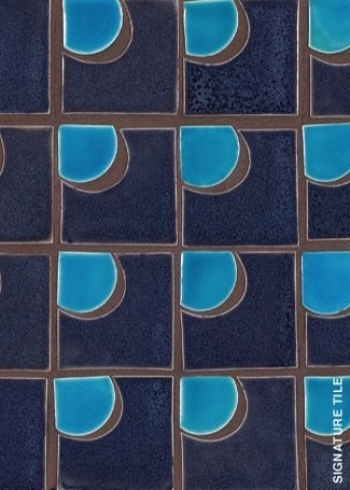 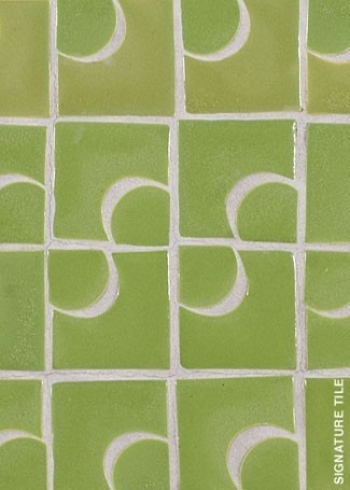 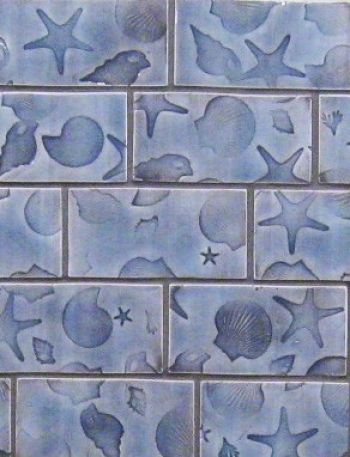 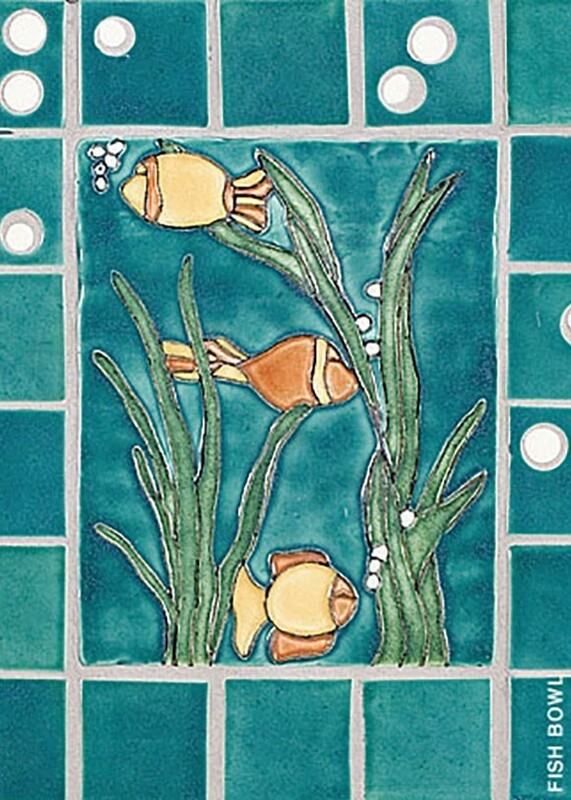 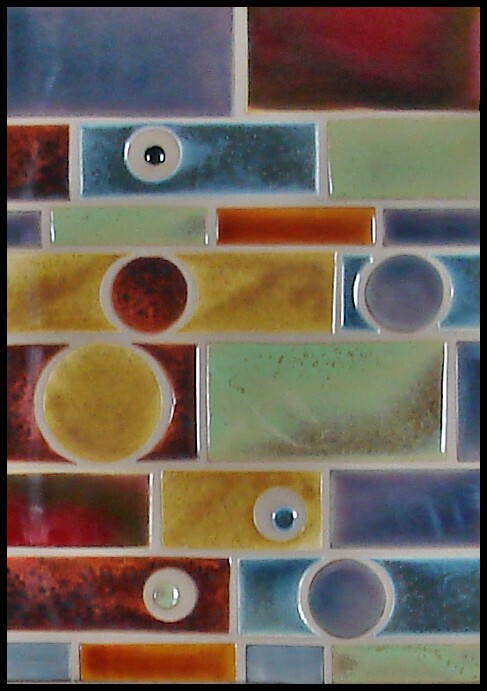 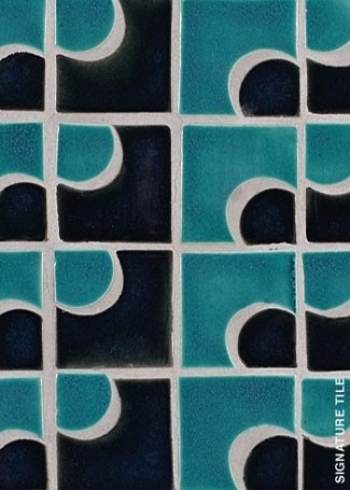 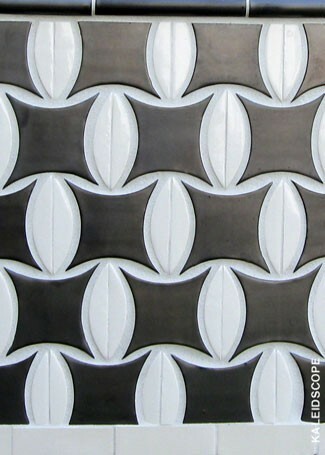 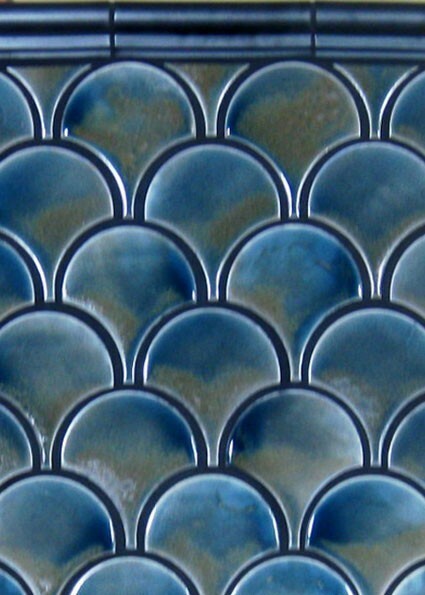 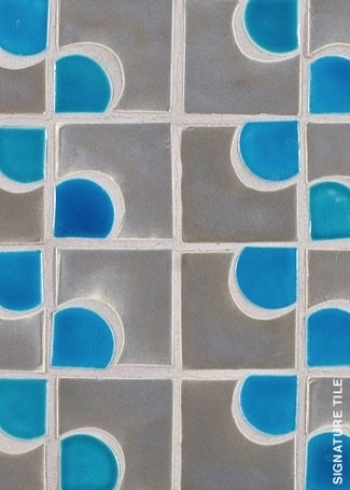 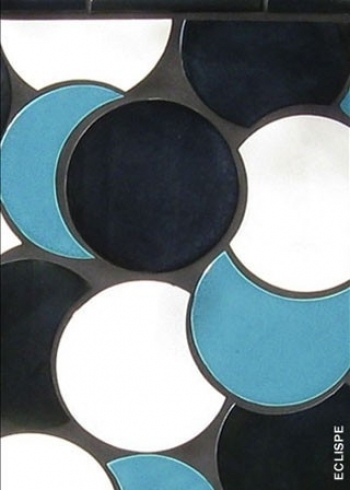 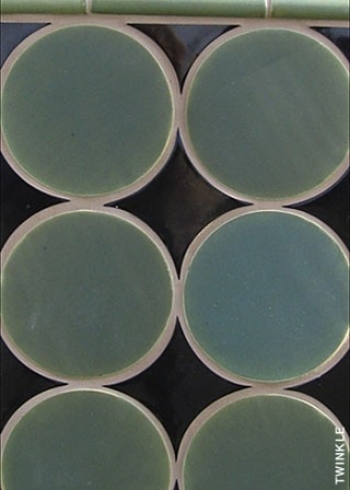 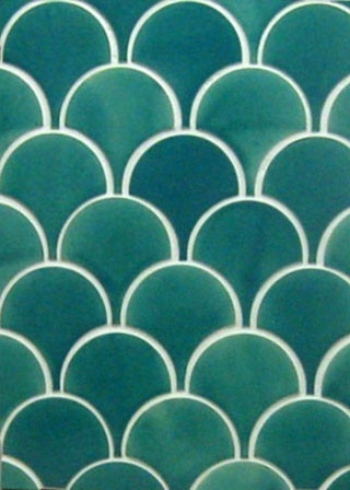 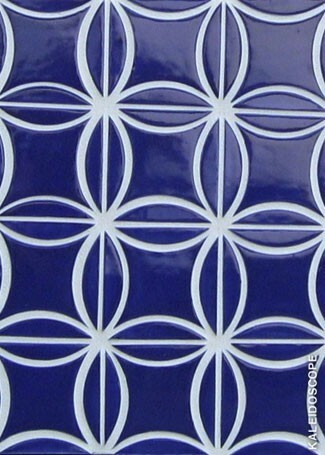 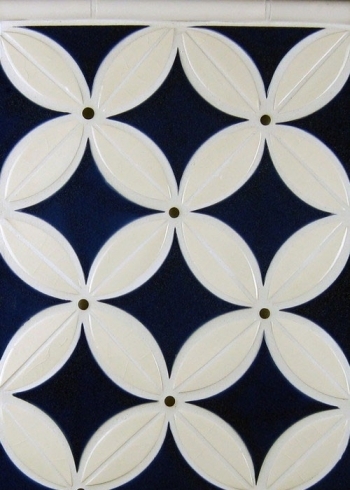 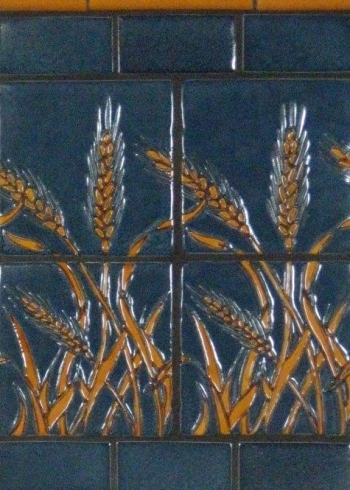 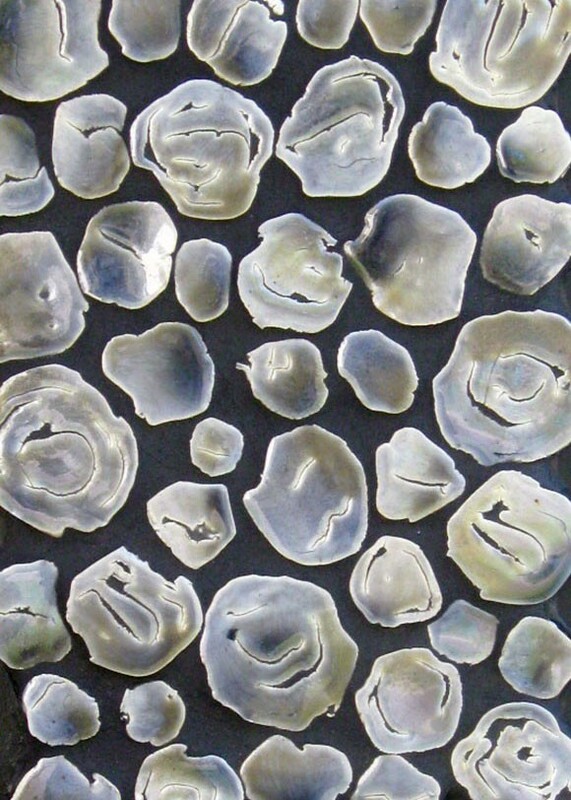 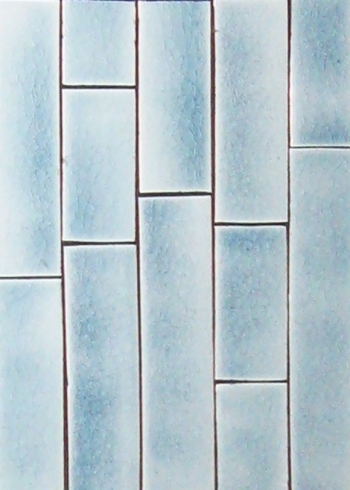 “Arch” field tile in Ocean #212. 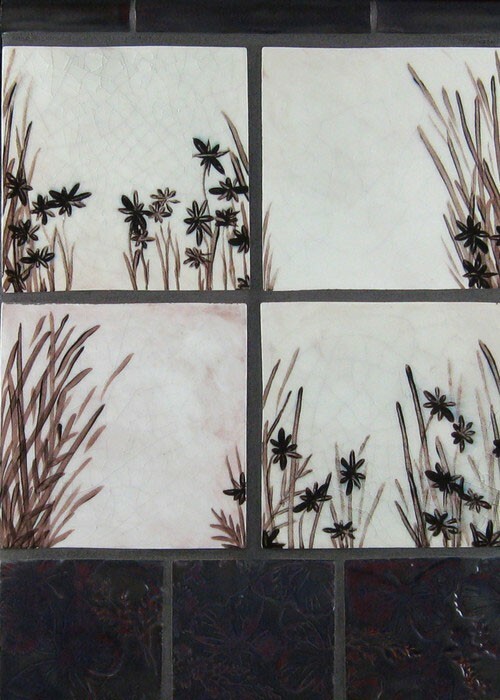 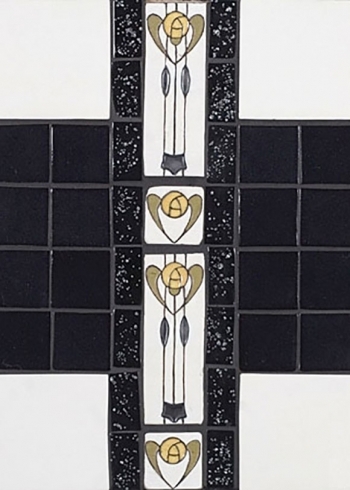 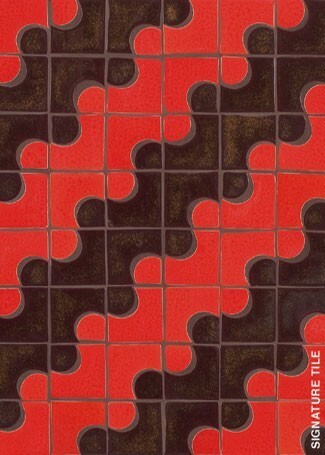 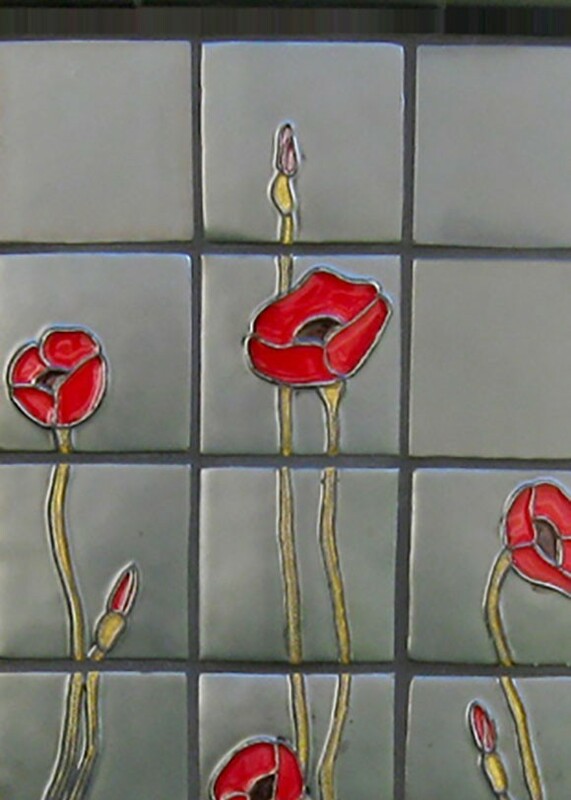 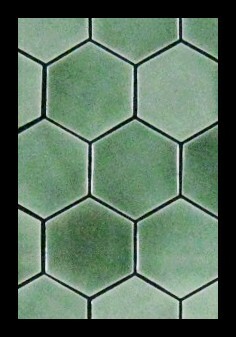 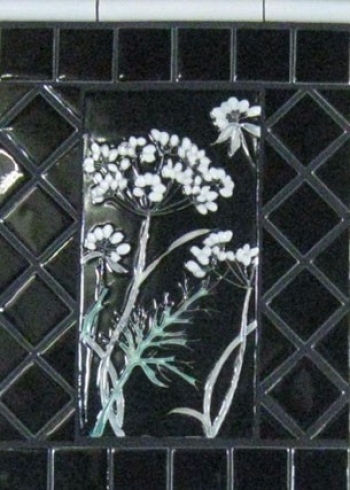 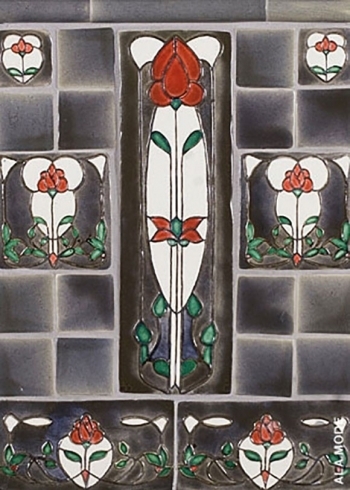 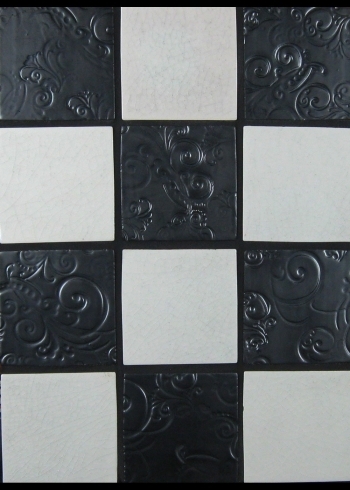 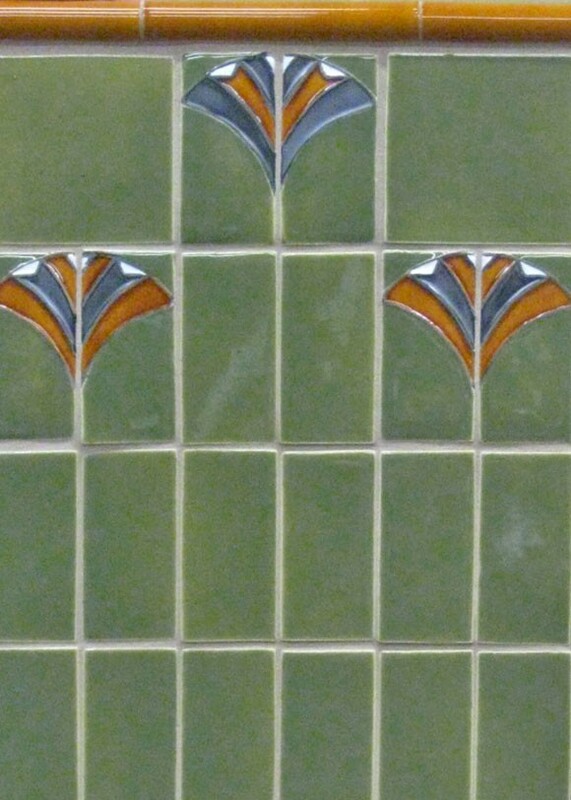 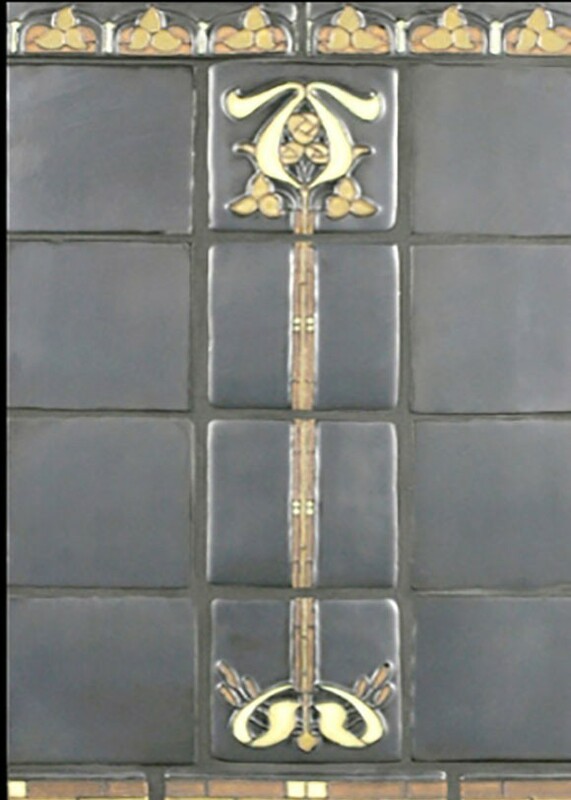 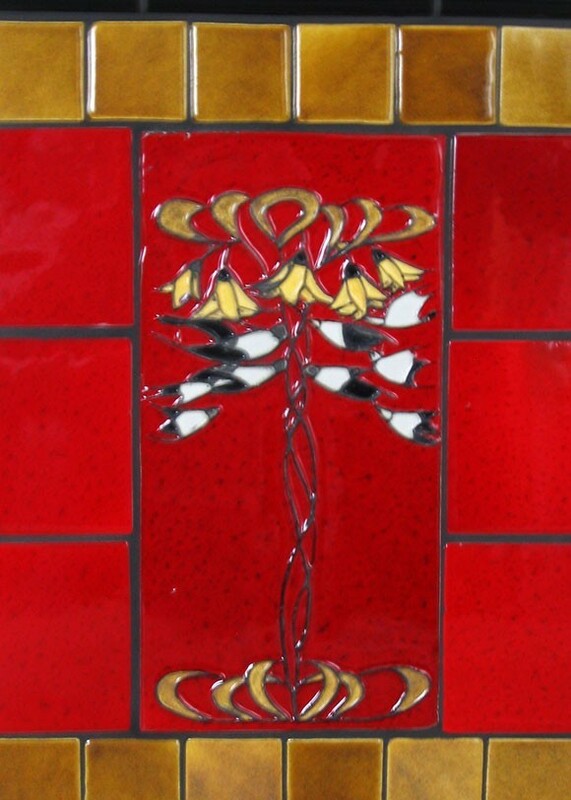 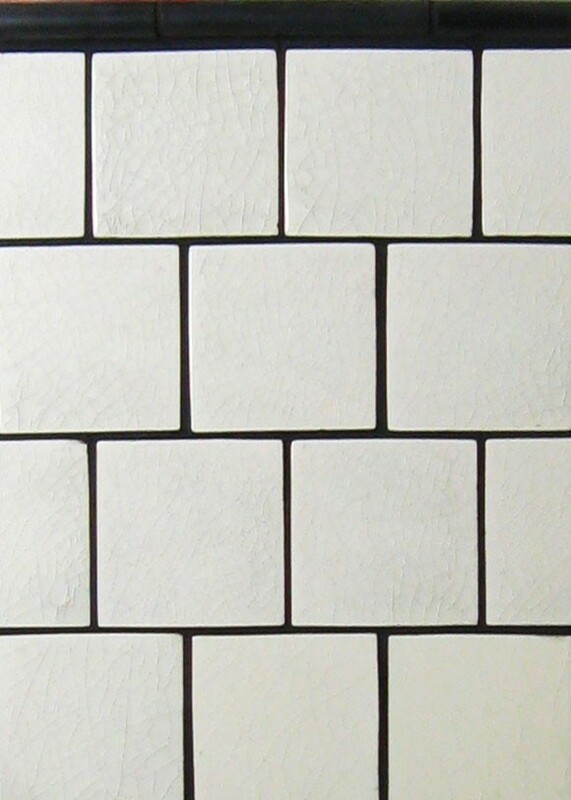 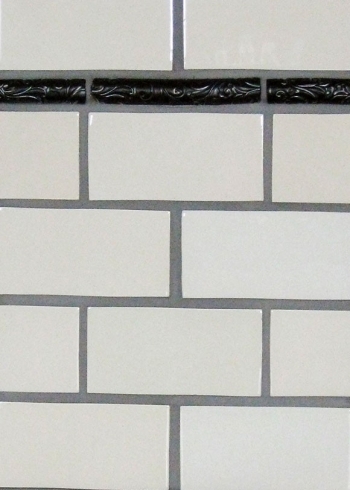 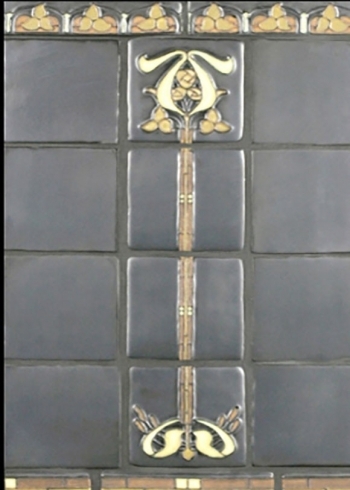 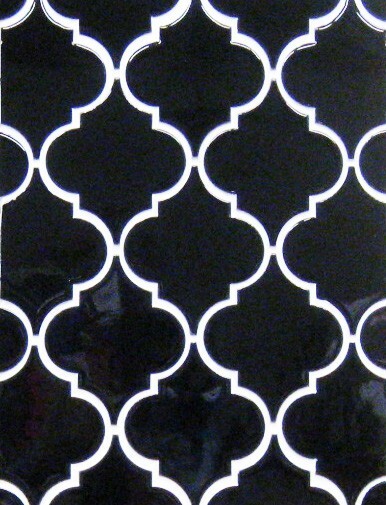 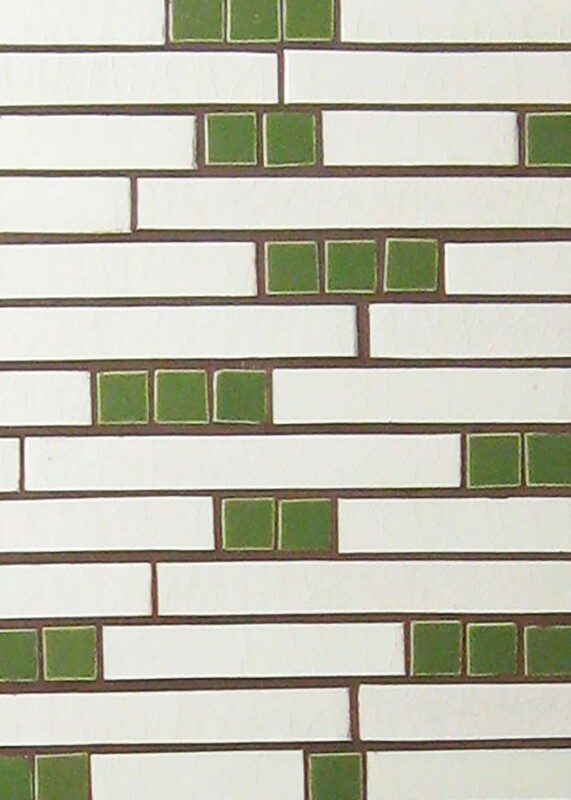 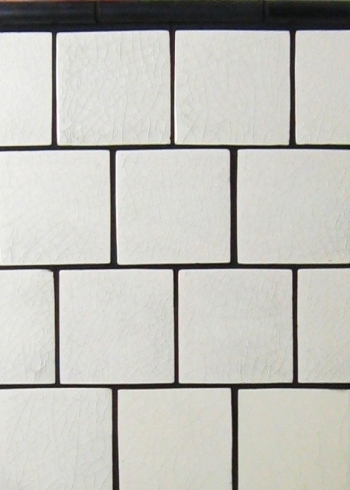 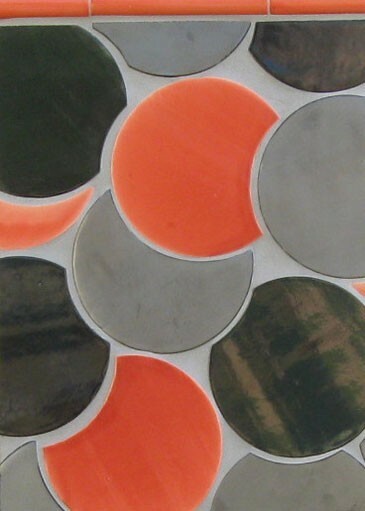 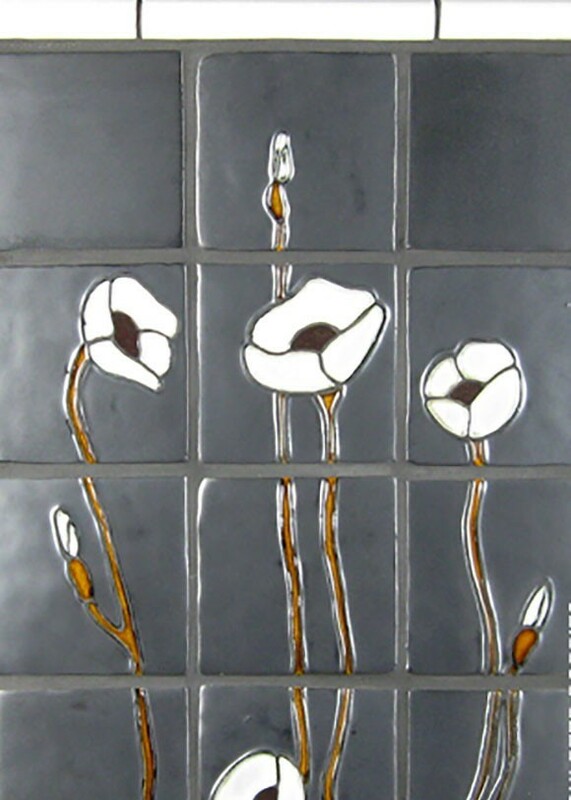 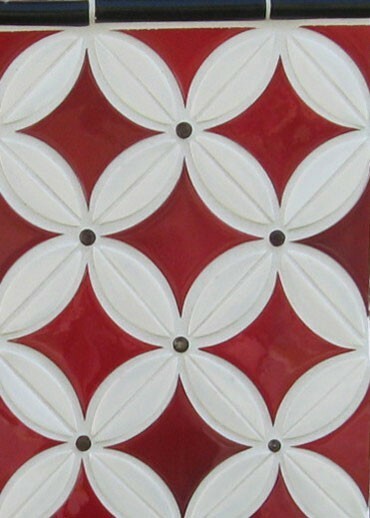 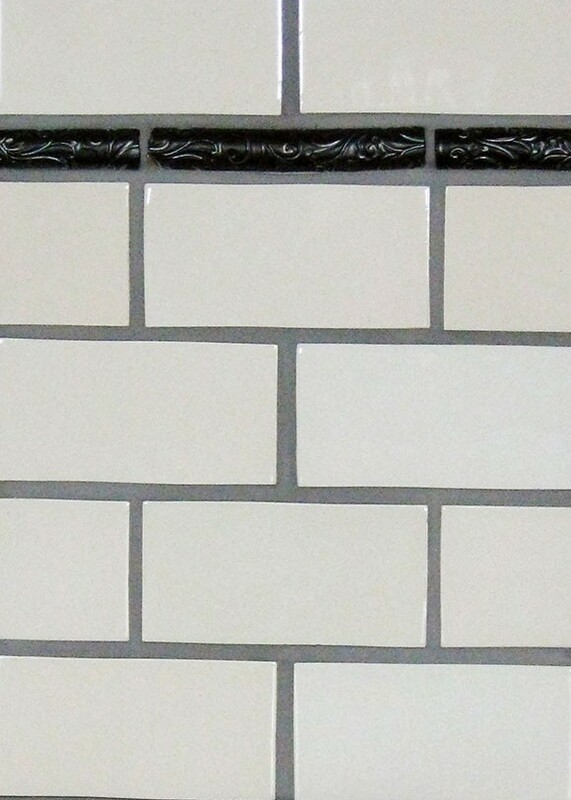 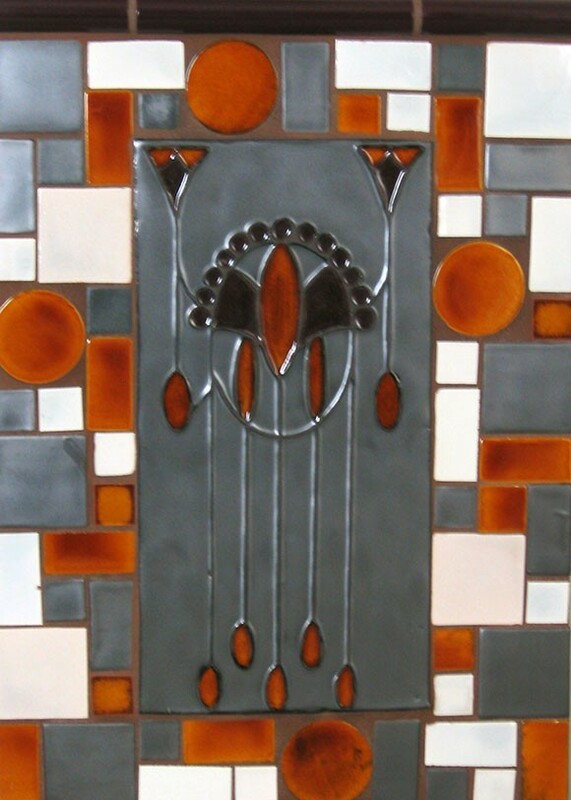 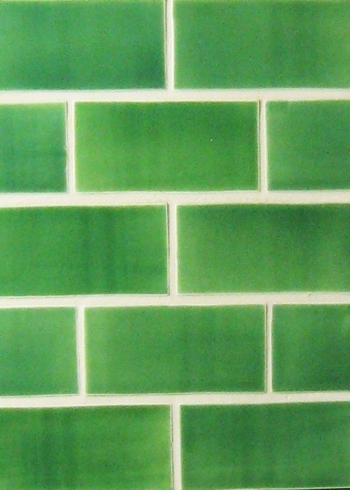 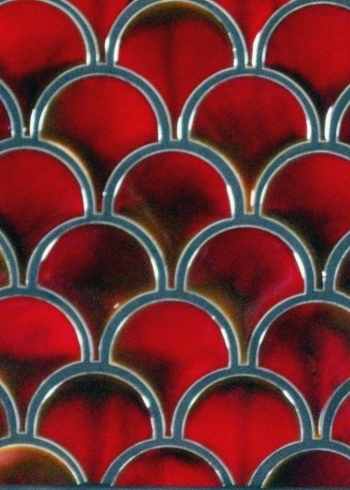 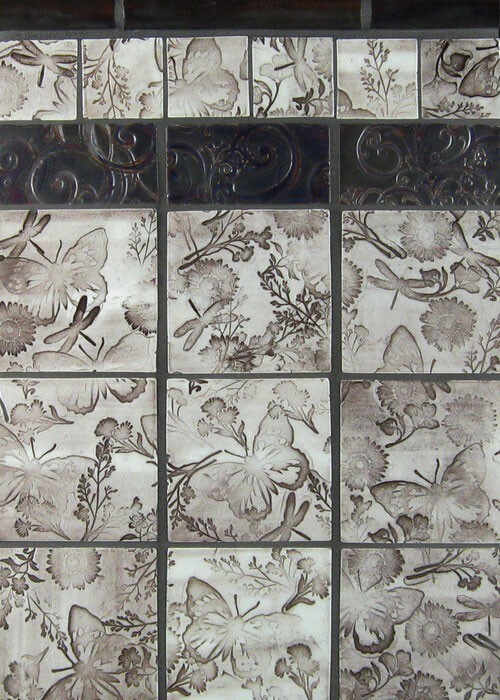 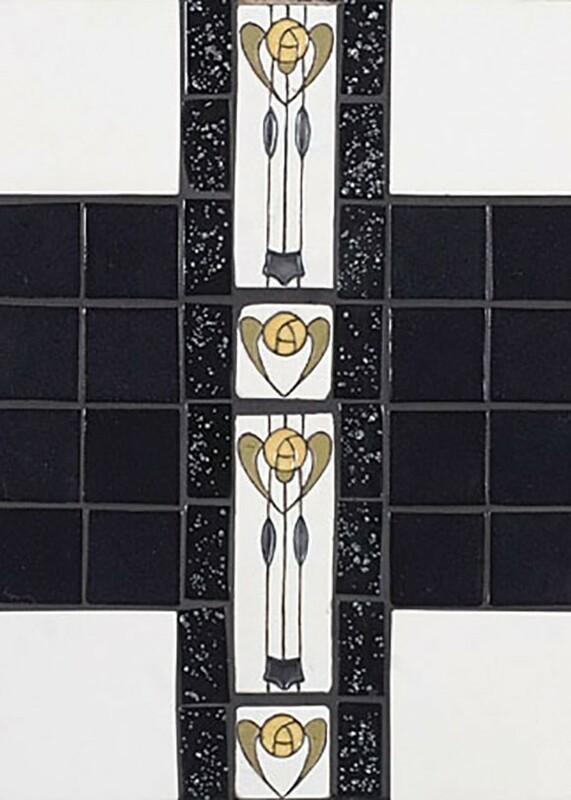 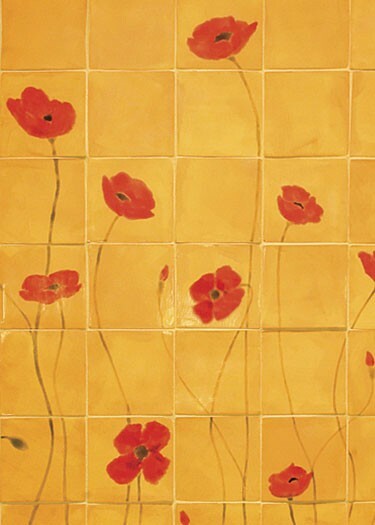 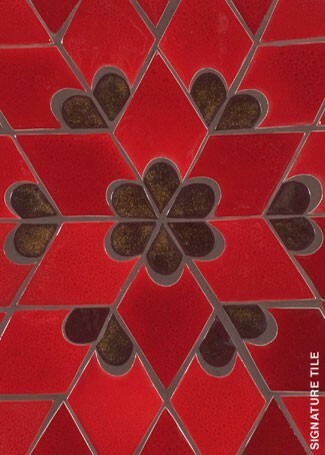 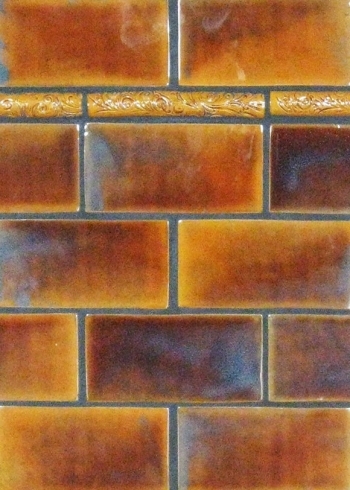 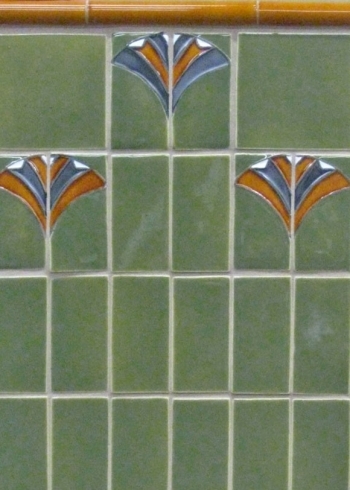 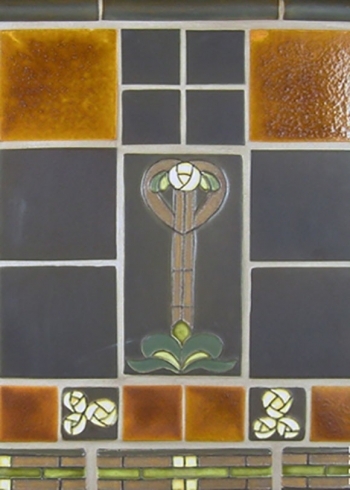 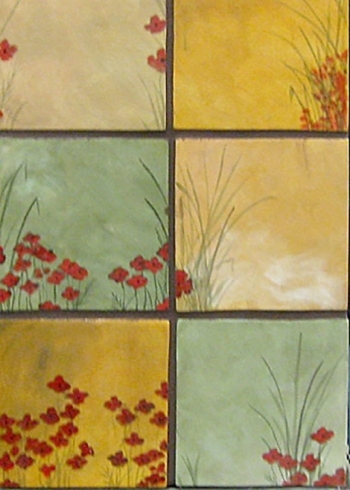 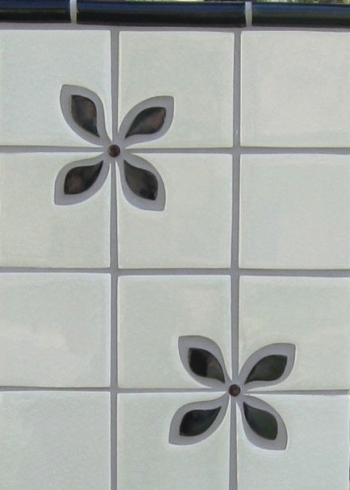 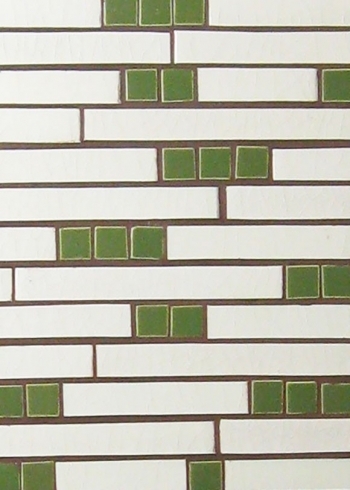 “Arch” field tile in Marie #125. 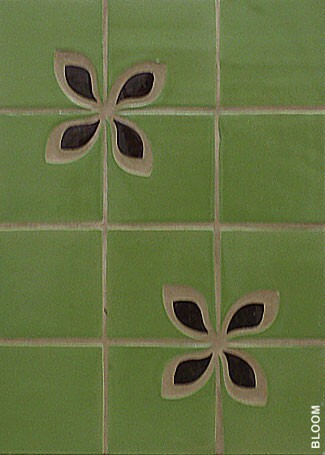 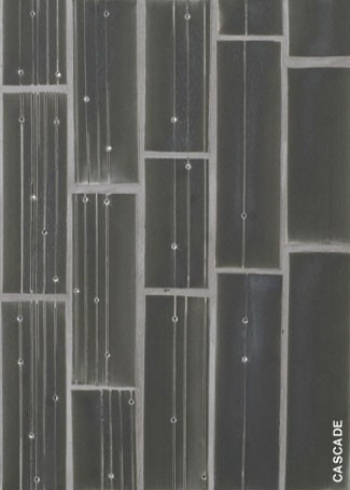 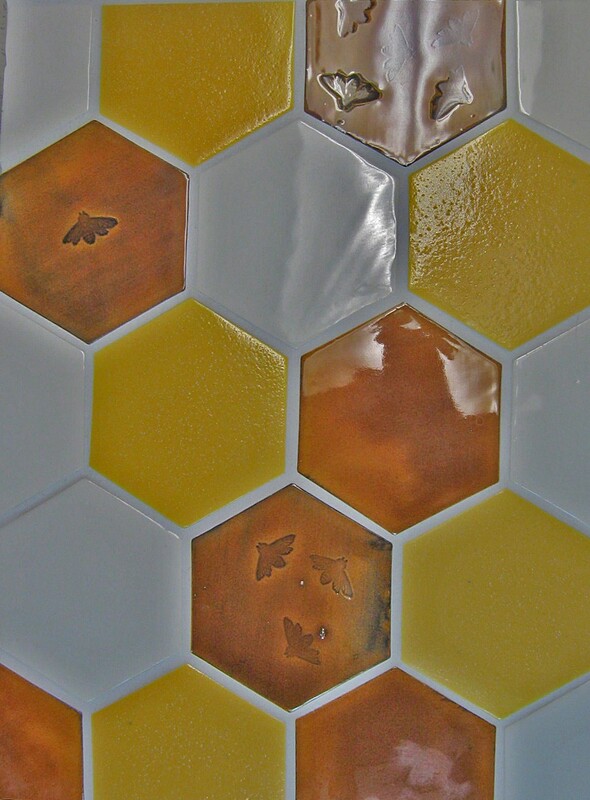 “Arch” field tile in ZIN #401. 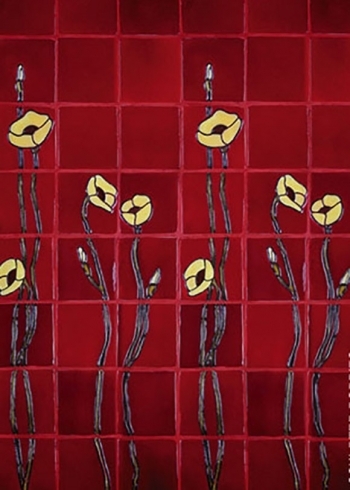 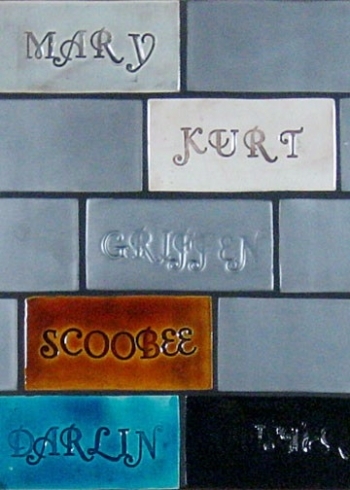 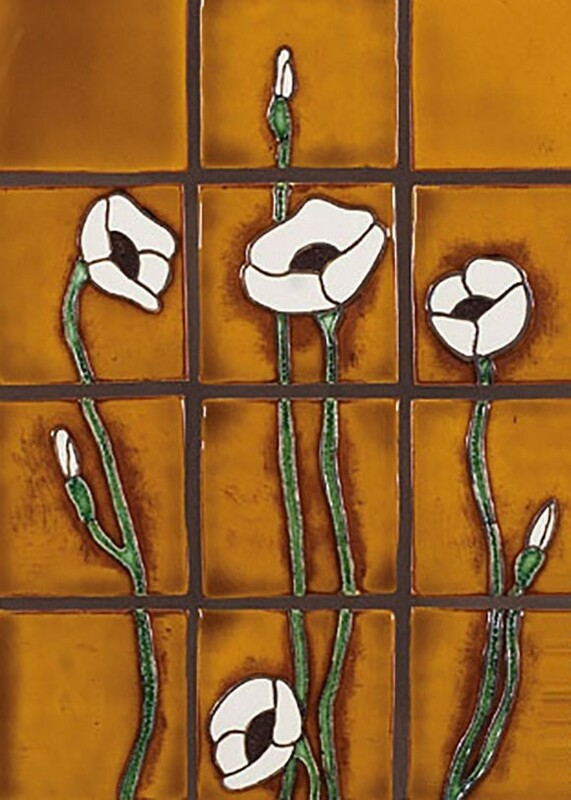 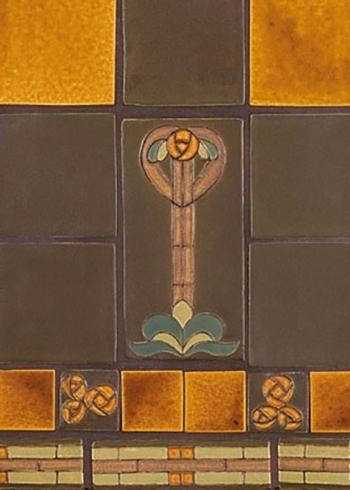 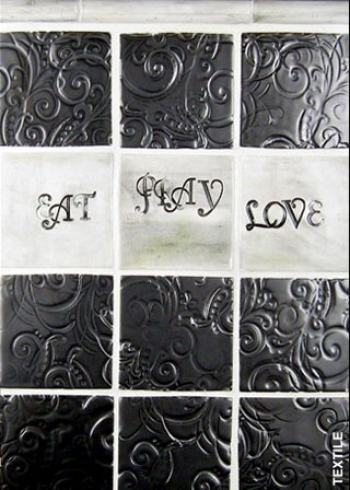 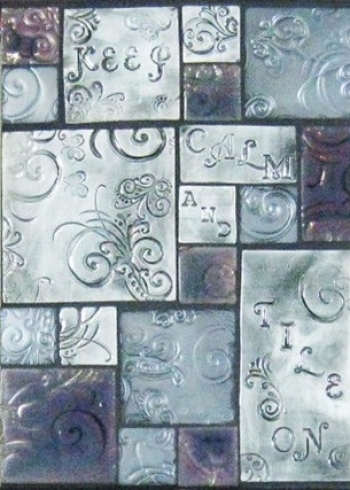 “Tiffany” 6x12 relief deco in Veruca #210. 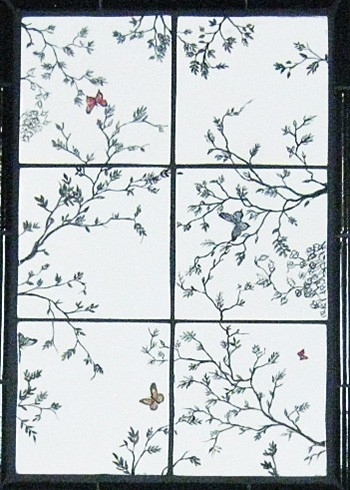 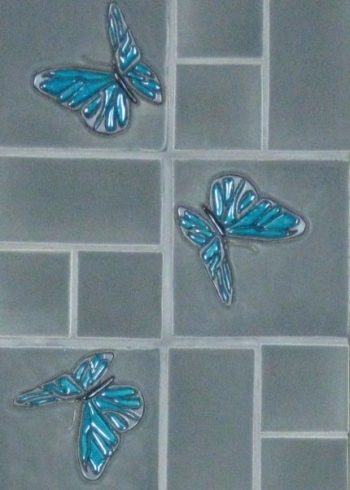 “Flyte” (Butterflies) 6x6 relief decos in Griffen #85. 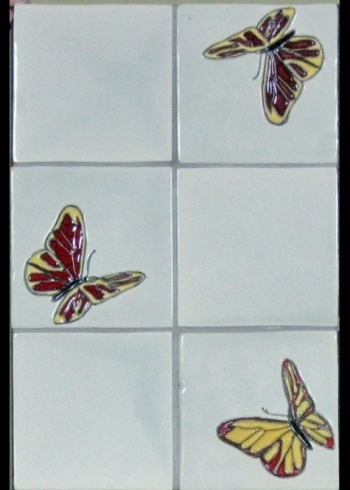 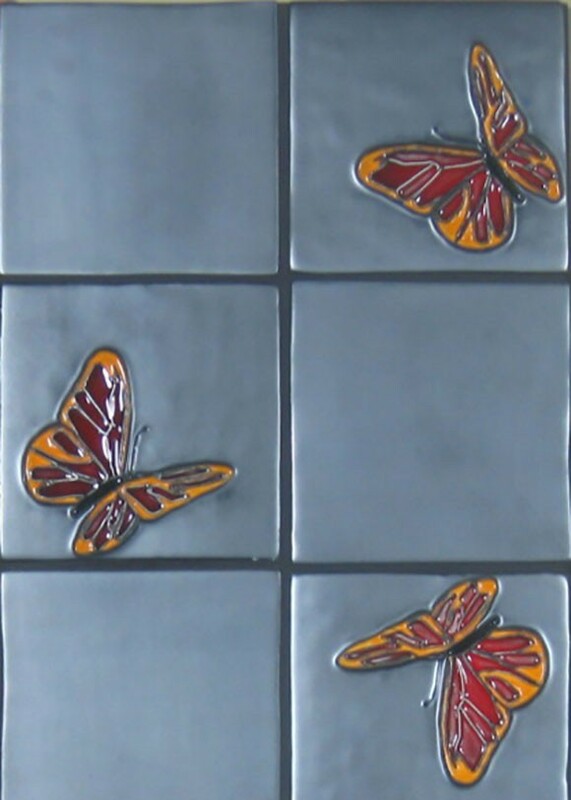 “Flyte” (Butterflies) 6x6 relief decos. 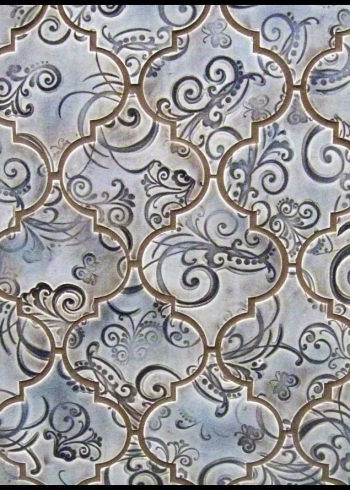 “Swirl” 4x4 decos with impressed designs in Snap #175. 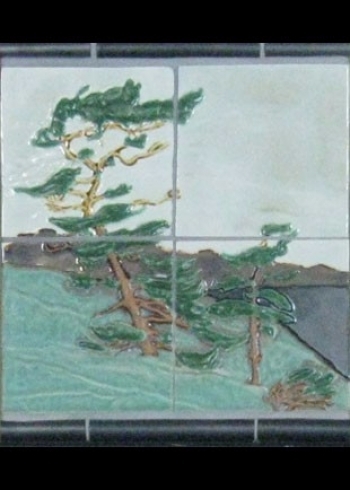 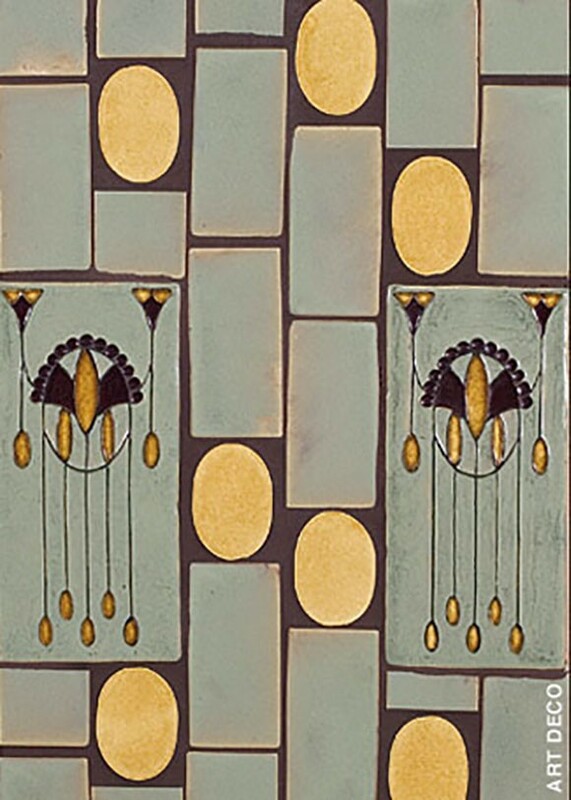 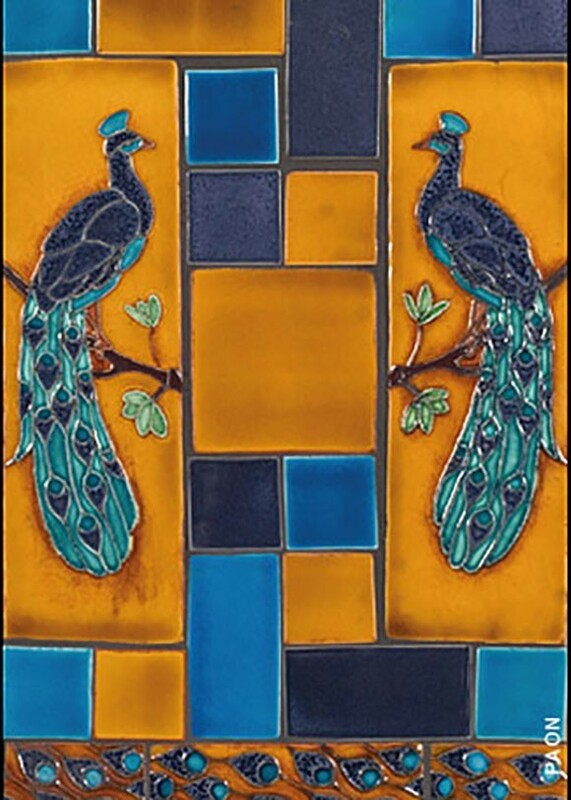 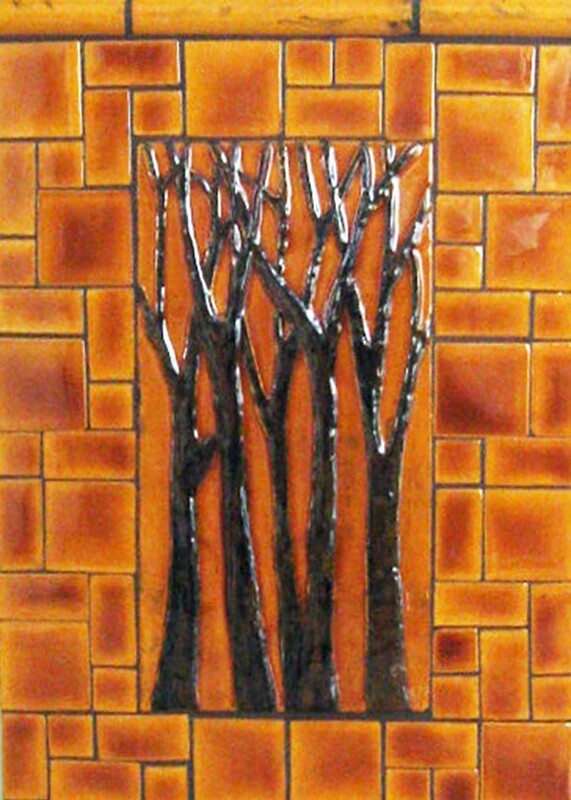 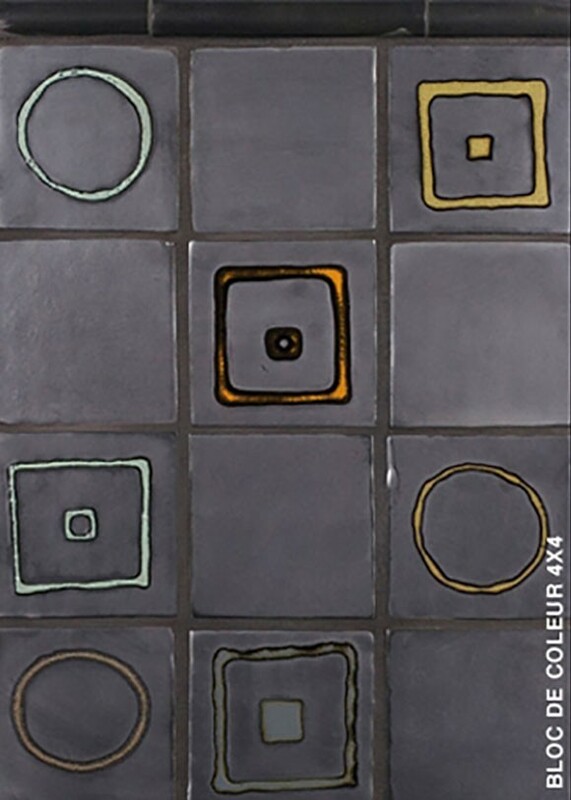 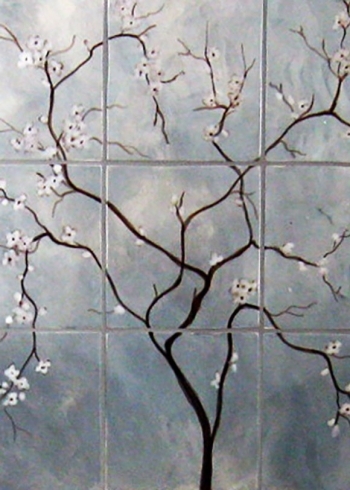 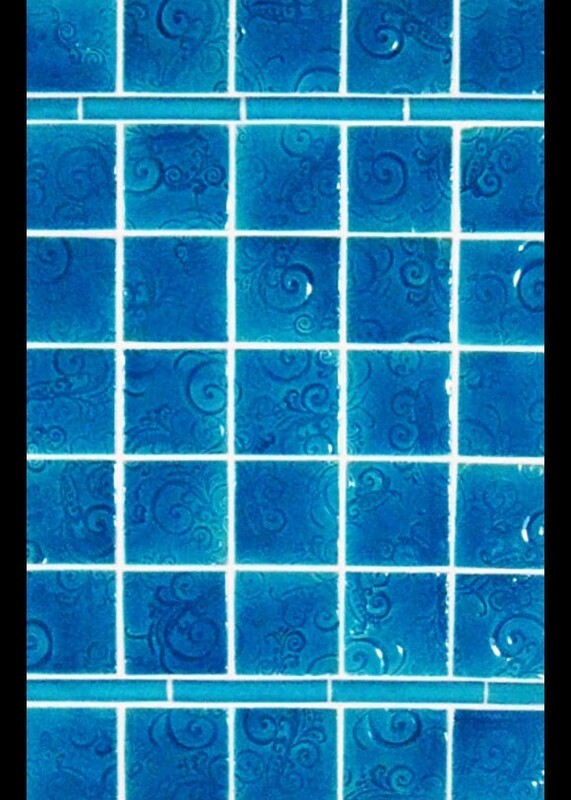 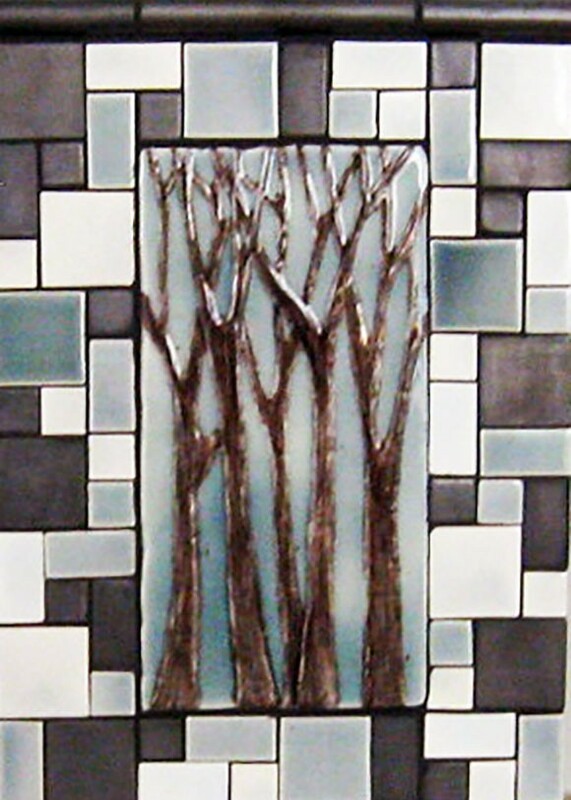 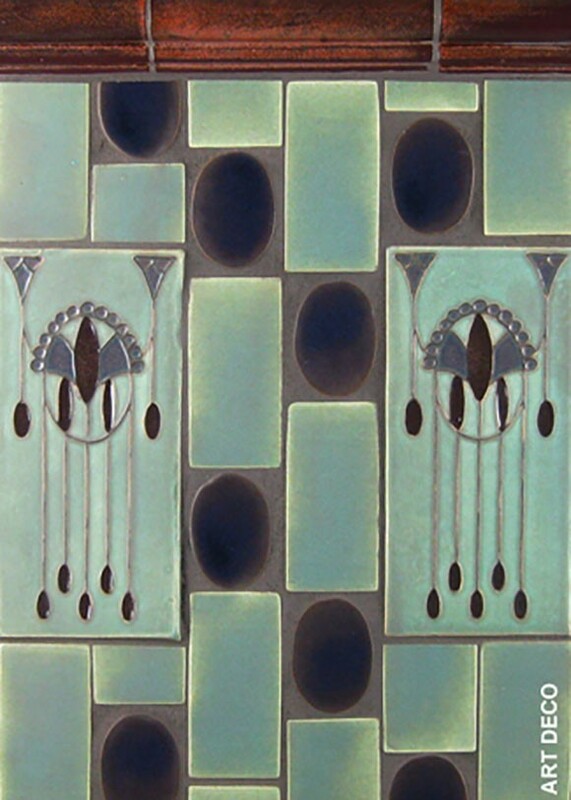 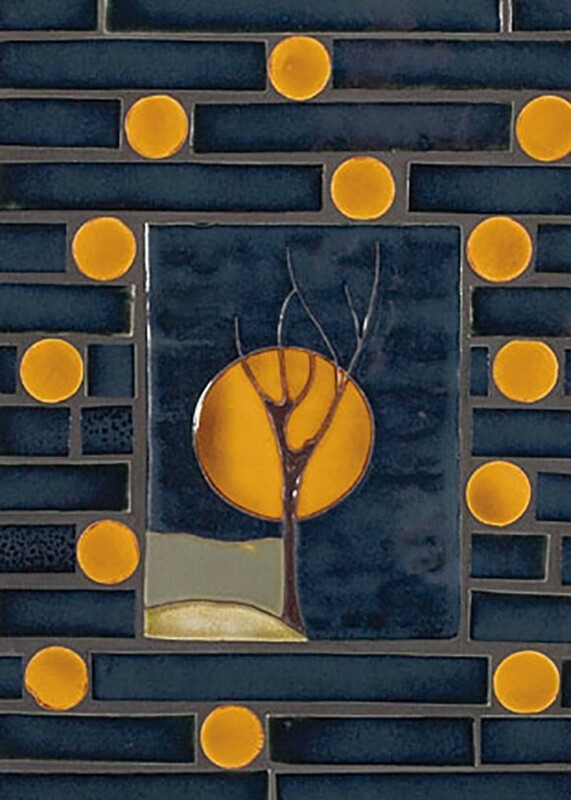 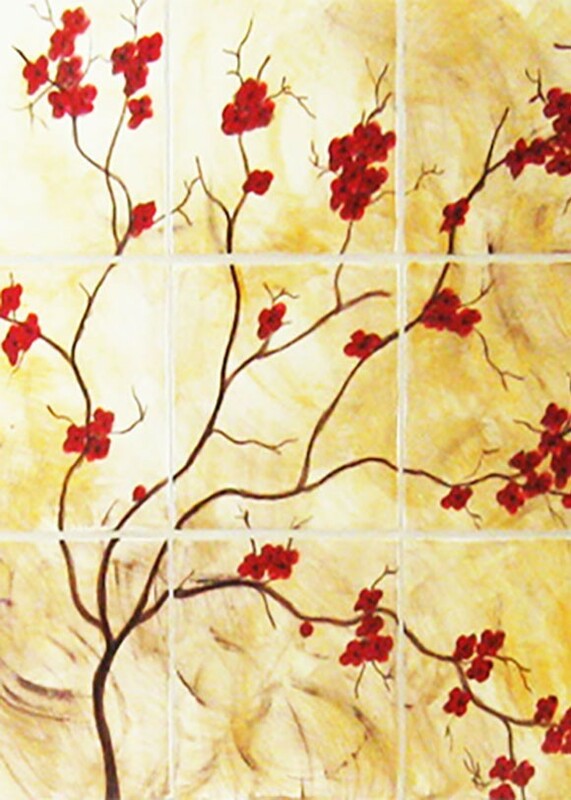 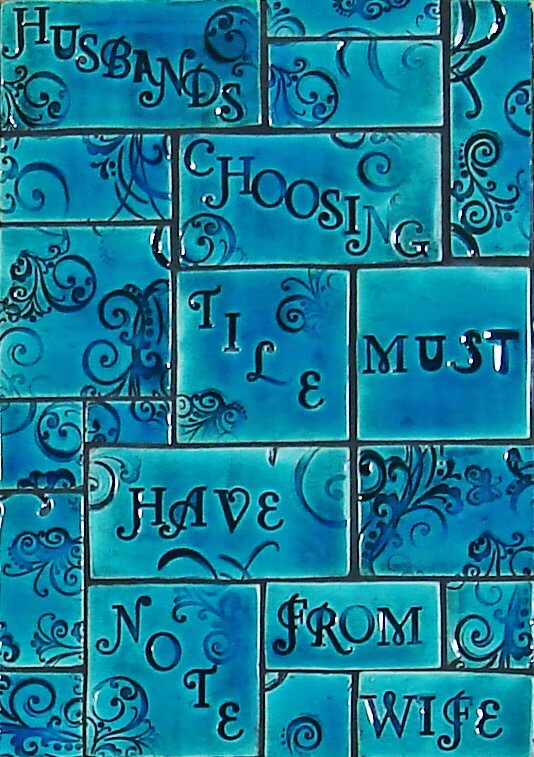 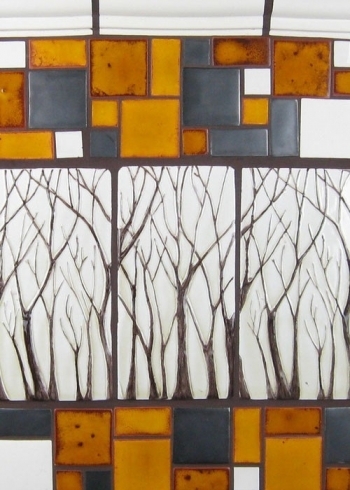 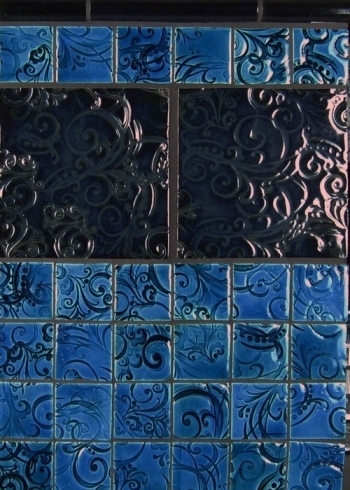 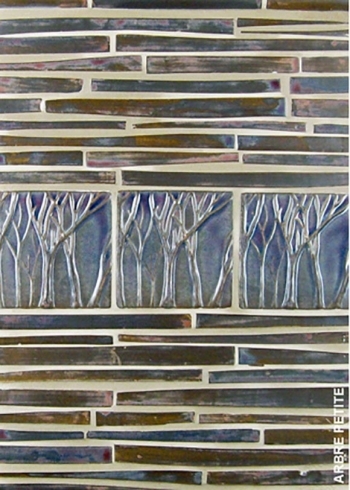 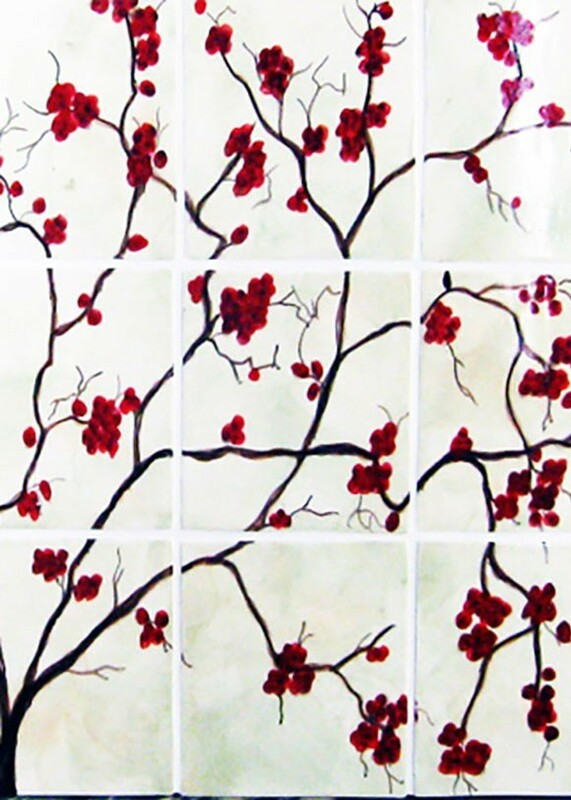 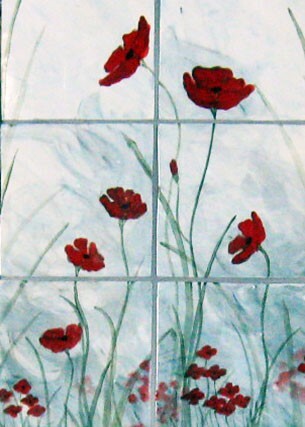 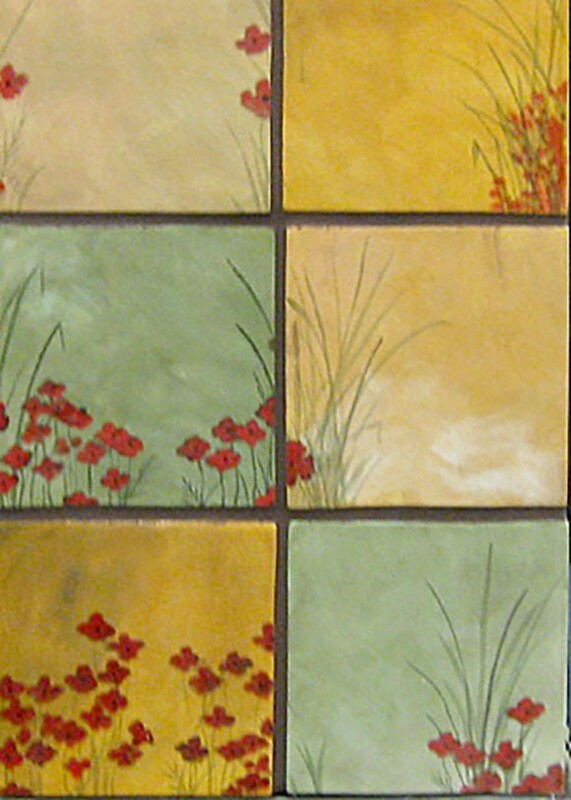 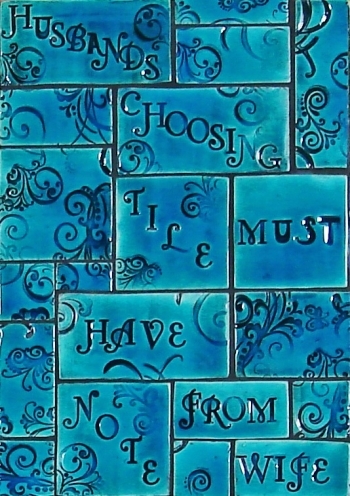 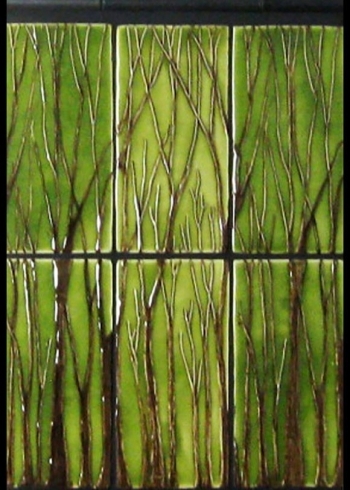 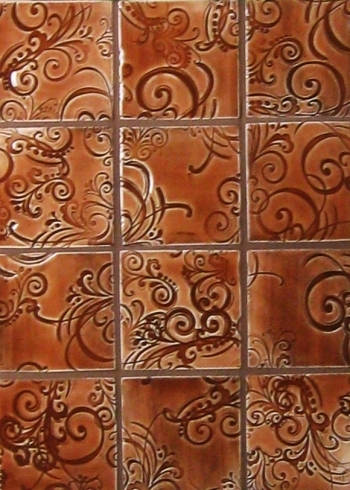 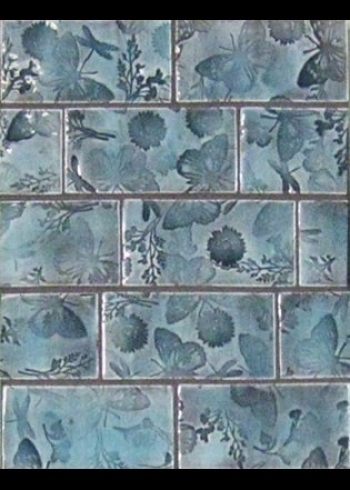 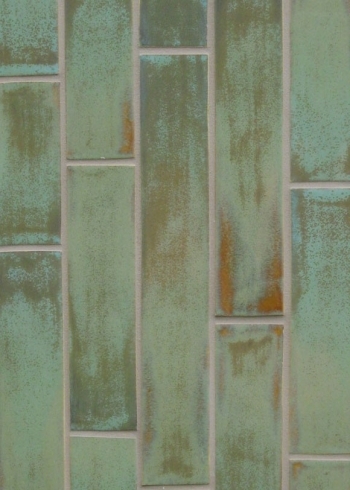 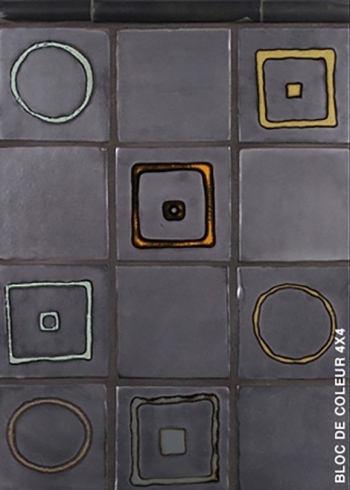 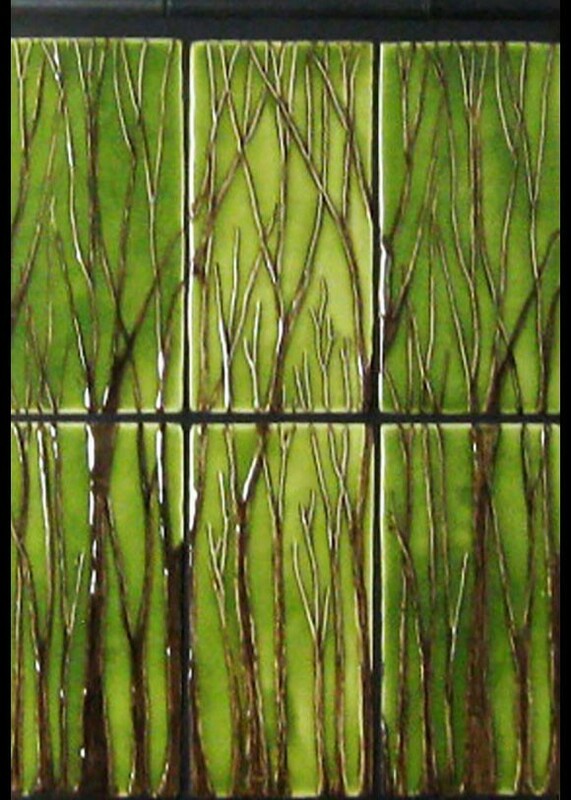 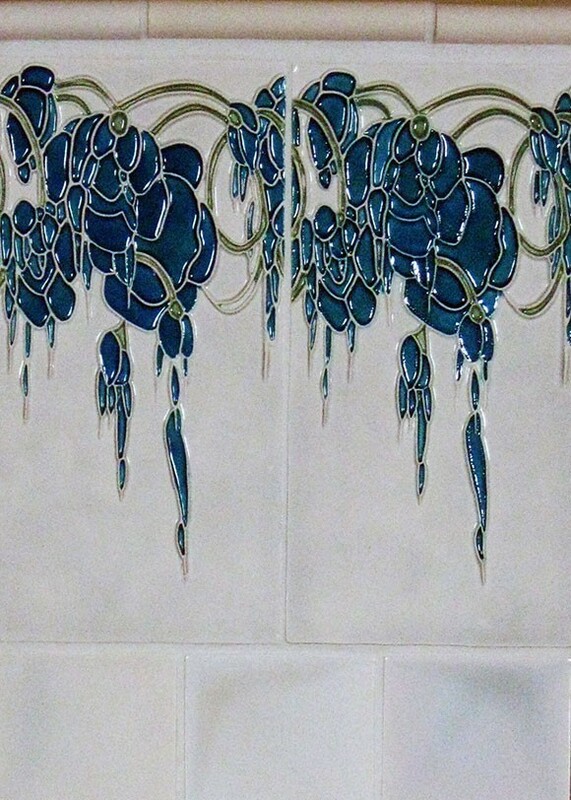 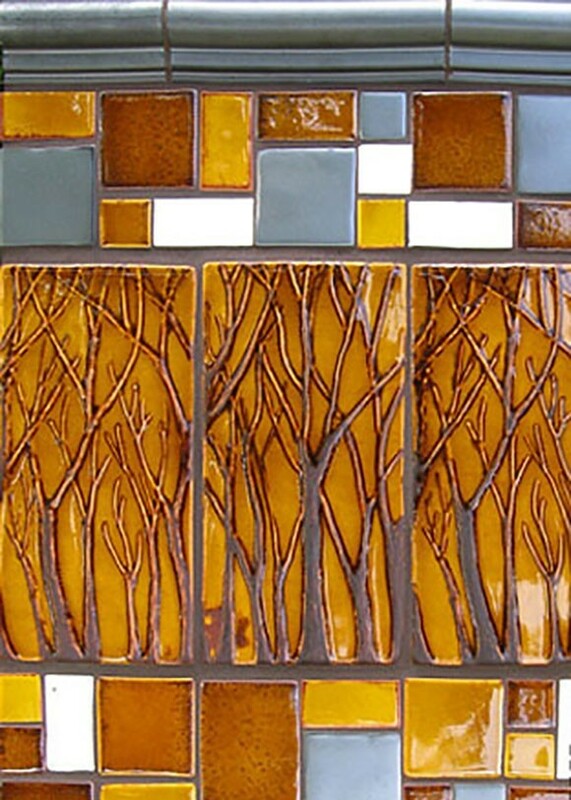 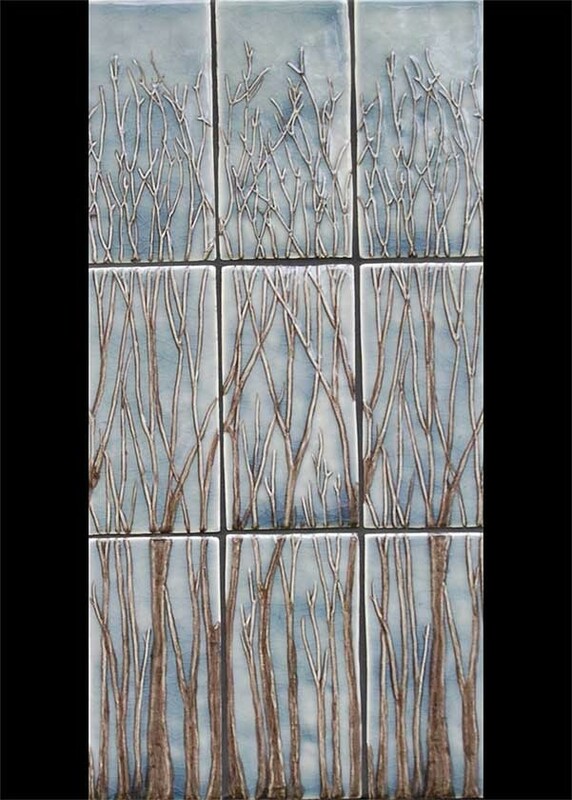 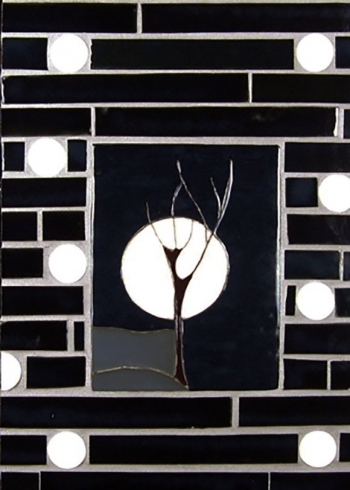 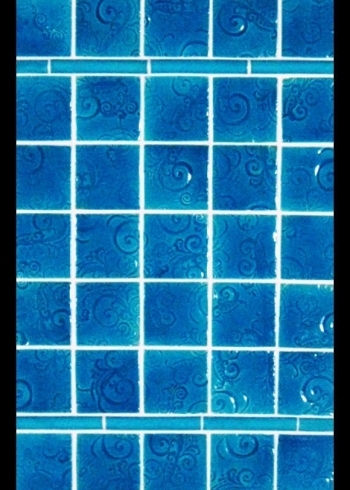 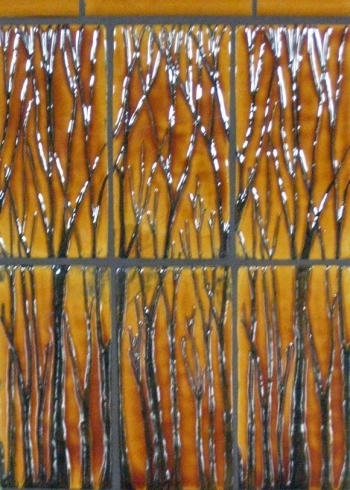 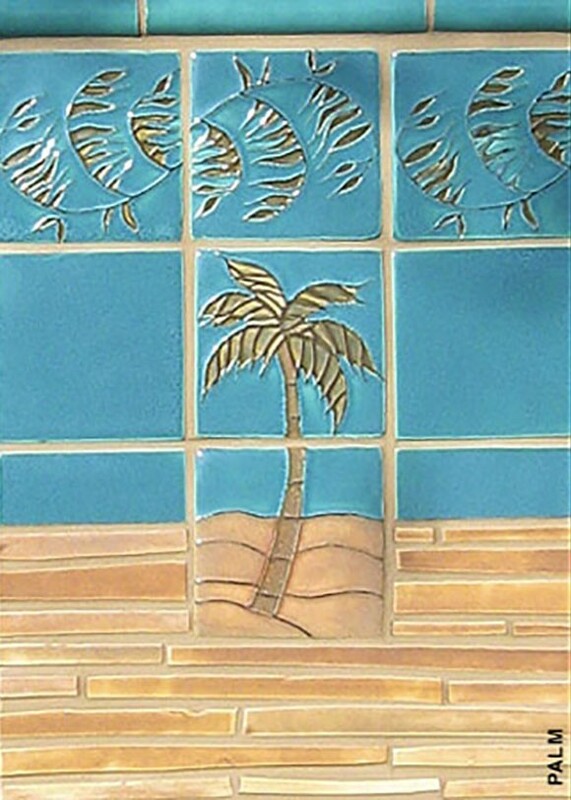 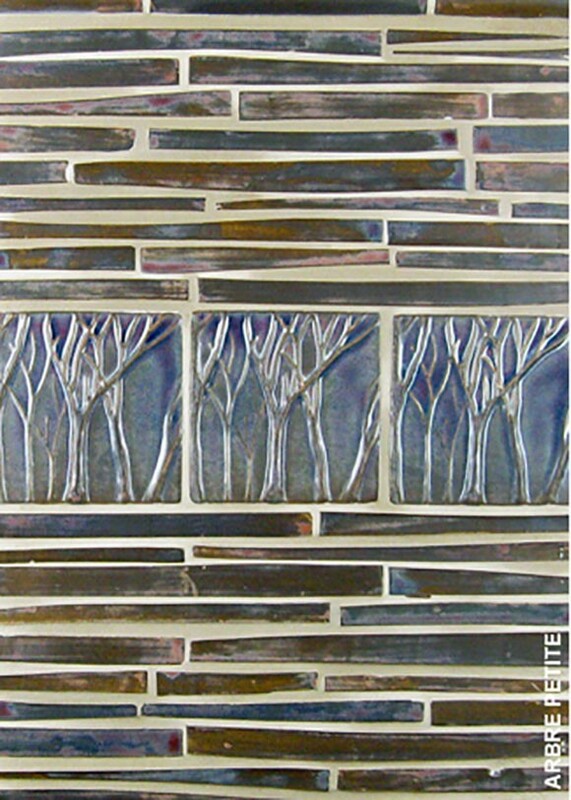 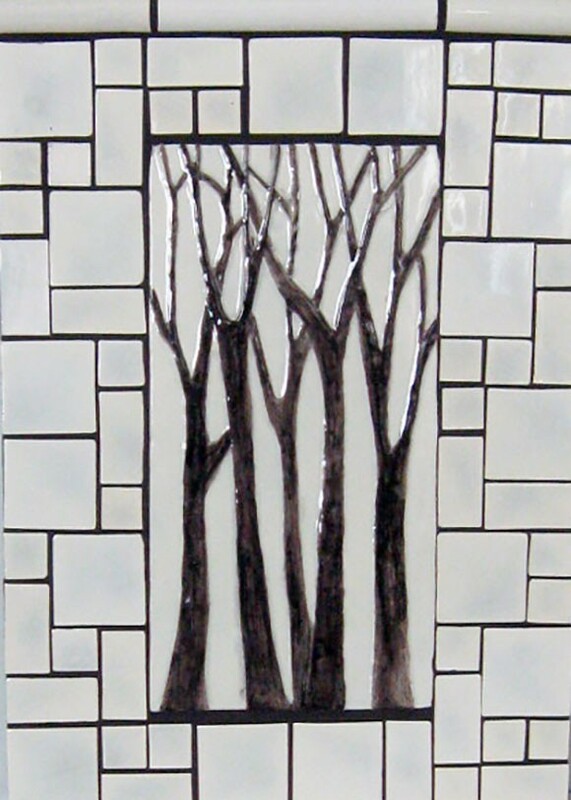 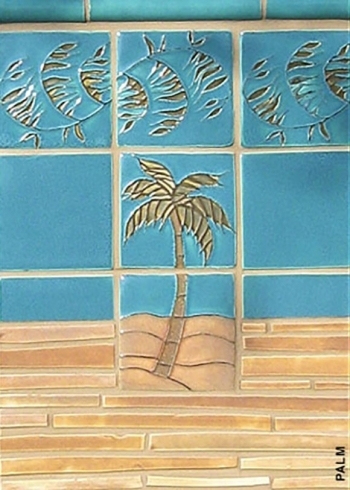 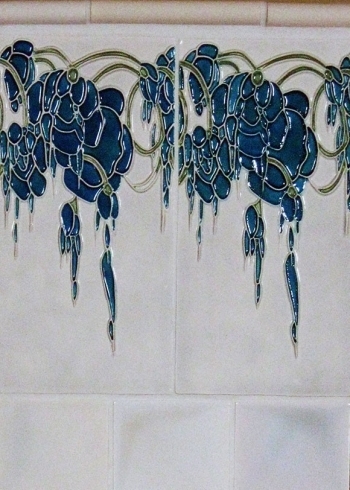 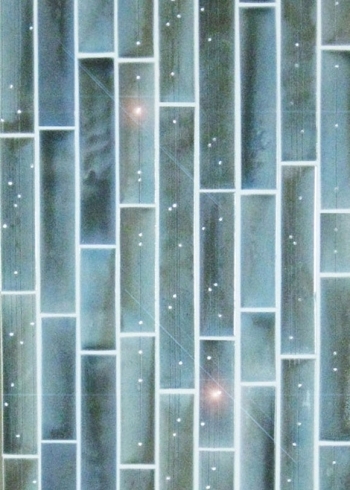 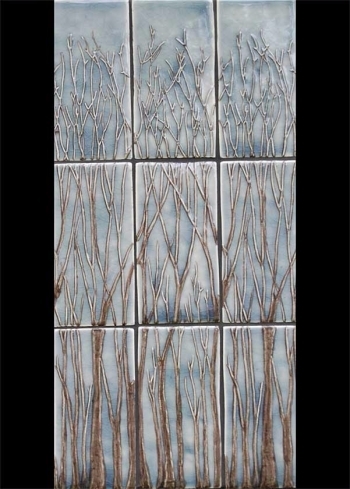 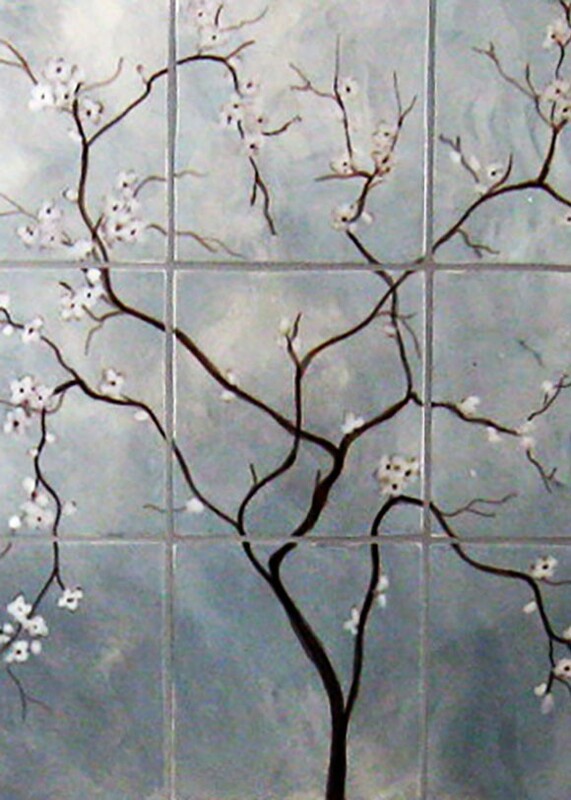 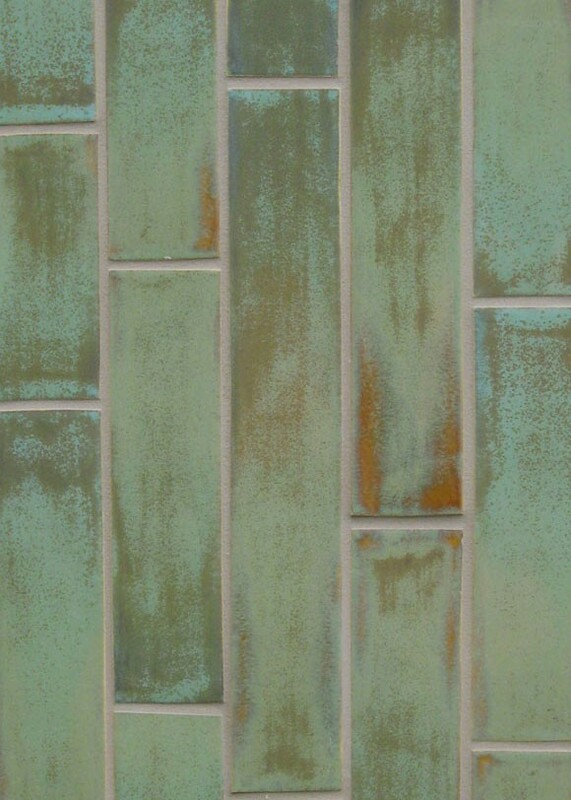 “Arbor” hand-made wood-look ceramic tiles in Ocean #212. 2xRandom field in Nova #220. 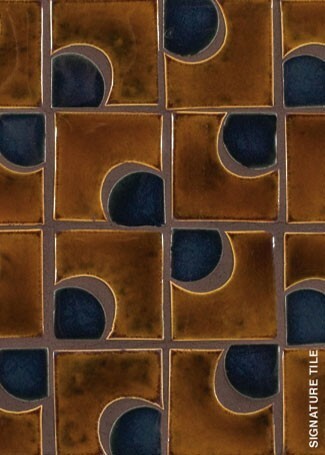 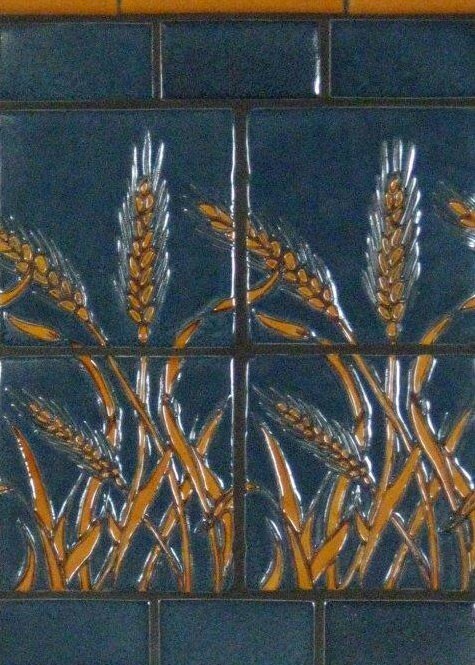 3x6 field tile in My Favorite #140. 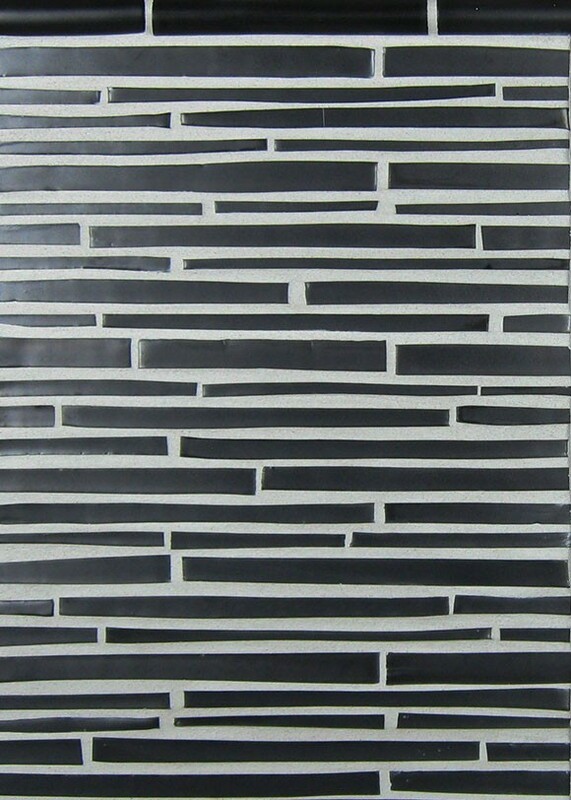 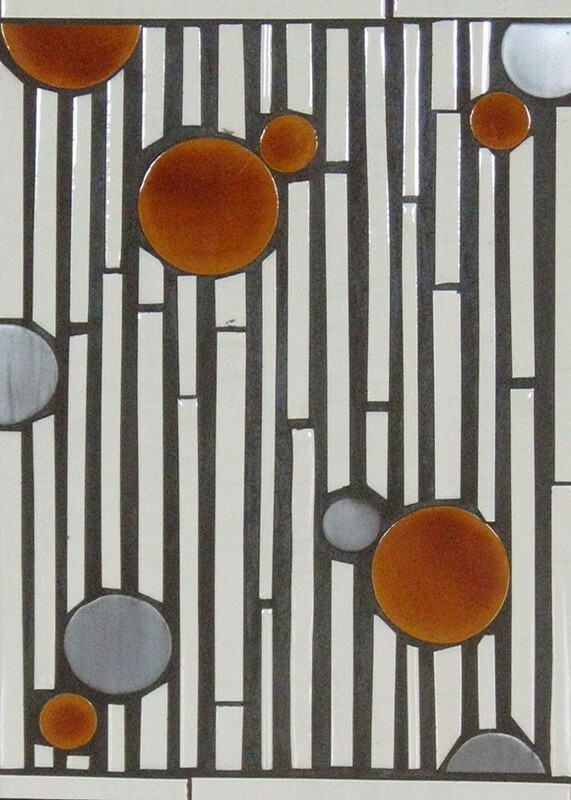 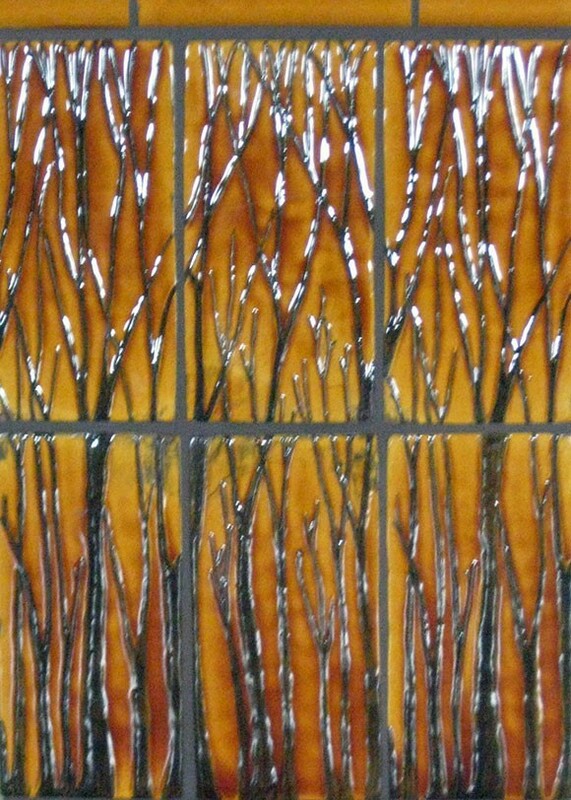 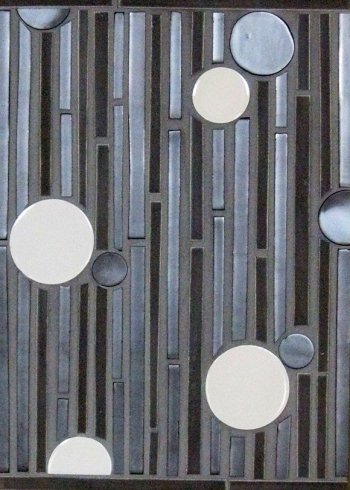 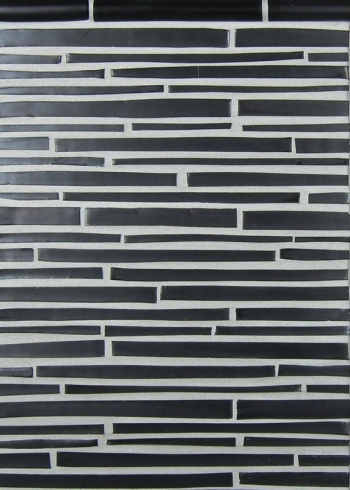 “Batons” hand-cut field in EspressO #65. 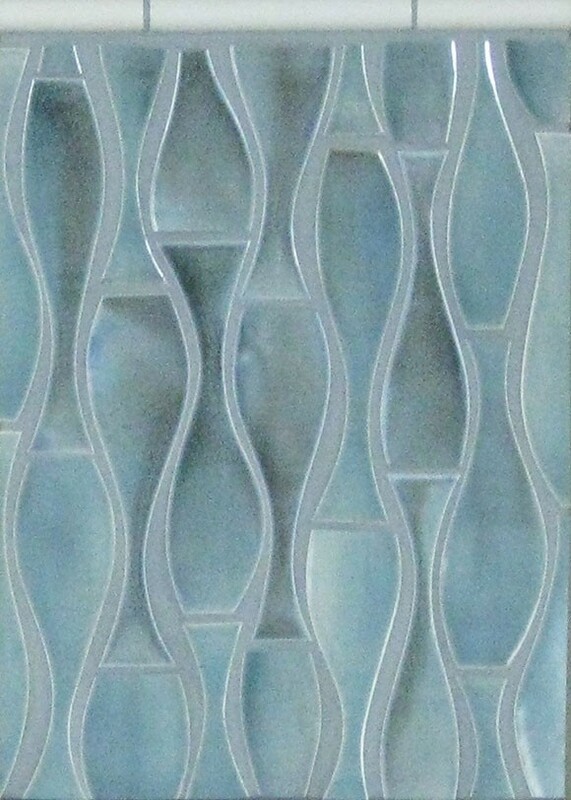 “Swerve” hand-cut field in Ocean #212. “Swerve” hand-cut field in Karmel #105. 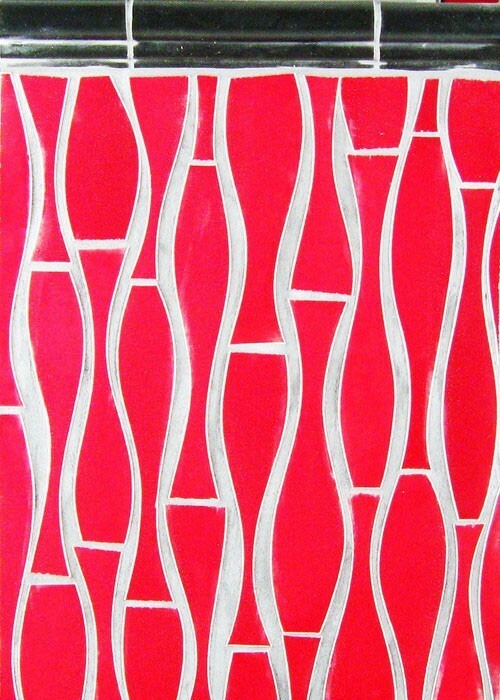 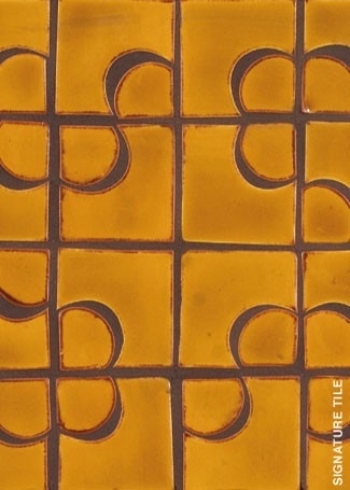 “Swerve” hand-cut field in Veruca #210. 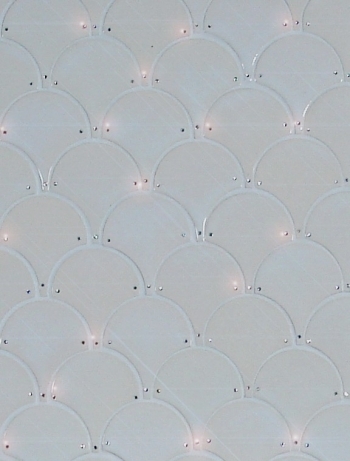 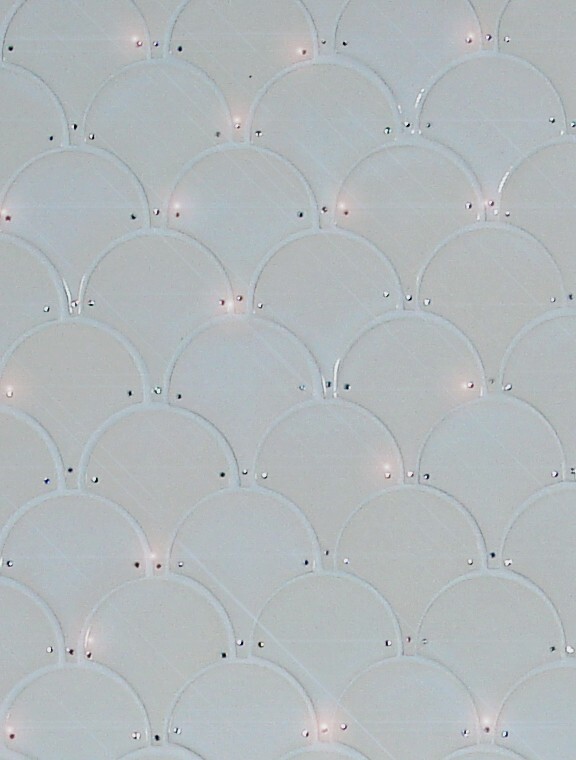 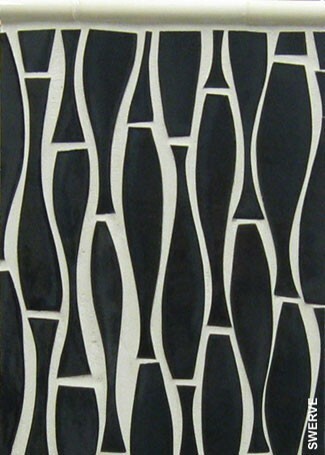 “Swerve” hand-cut field in Majestique #118. 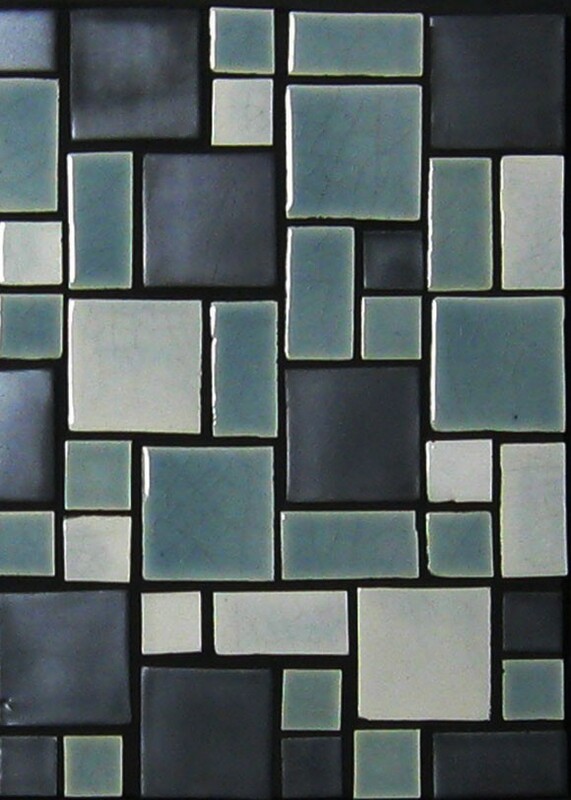 Mosaic Blend 1x1, 1x2 & 2x2 in Skyy #315. Mosaic Blend 4x4 filed in Subway pattern in POP #153. 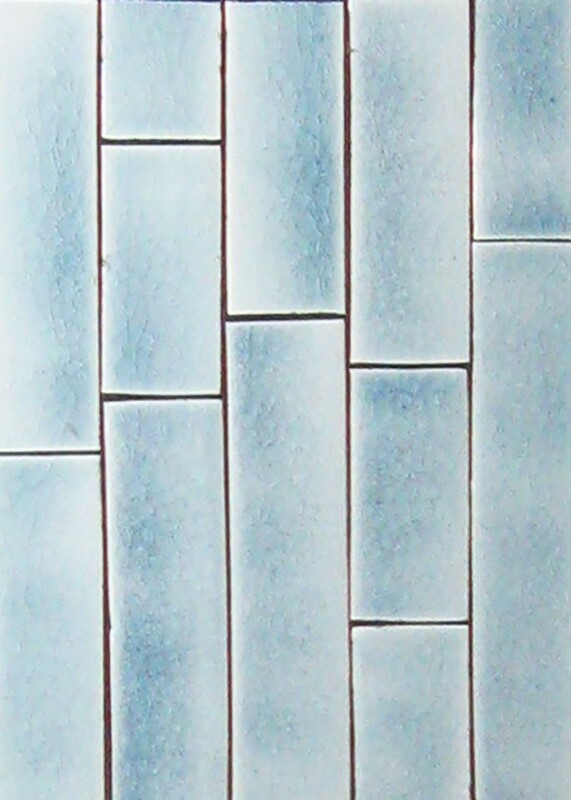 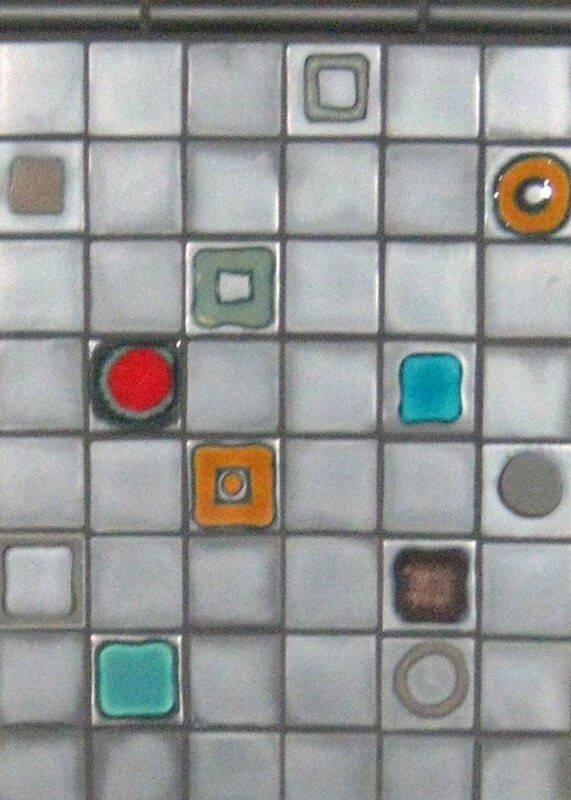 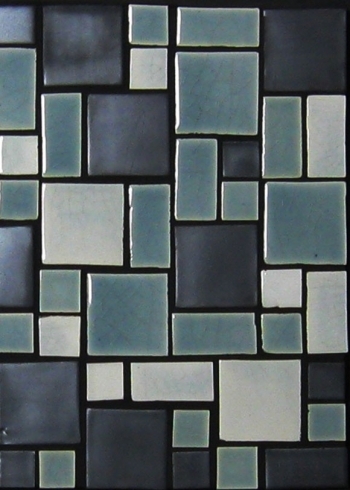 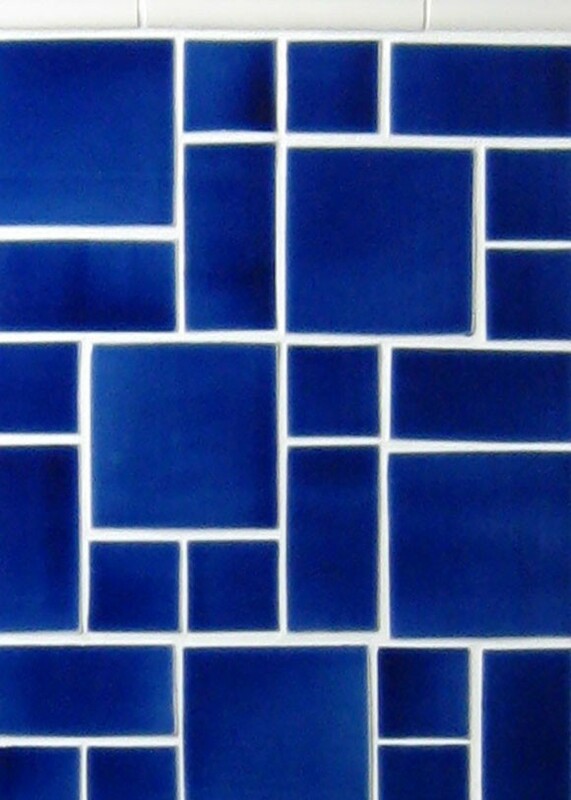 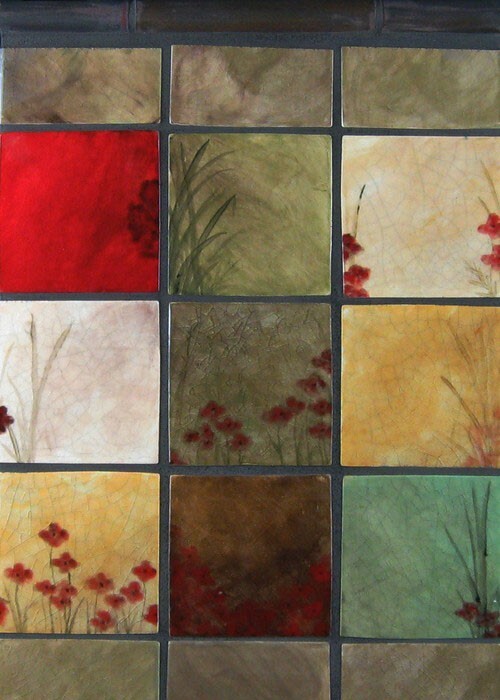 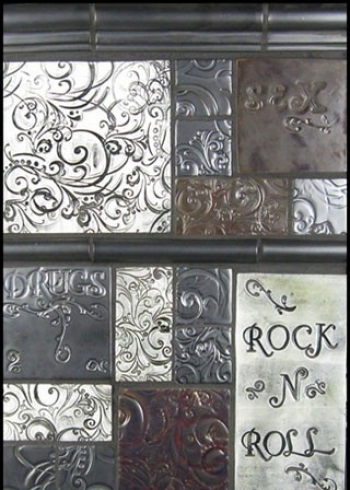 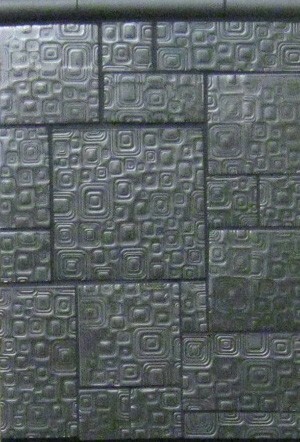 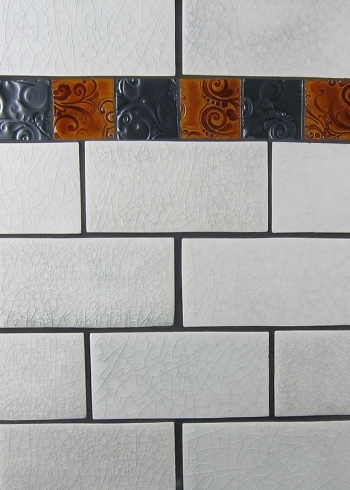 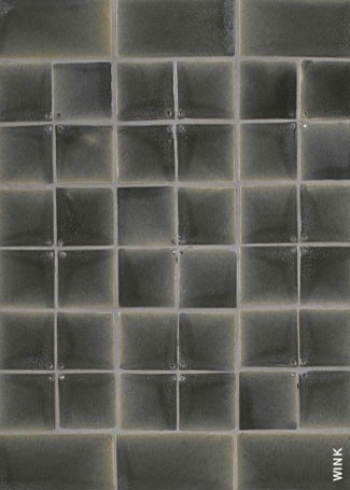 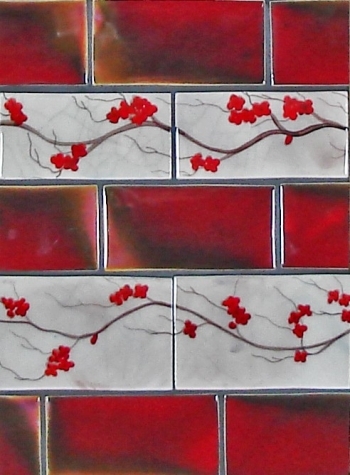 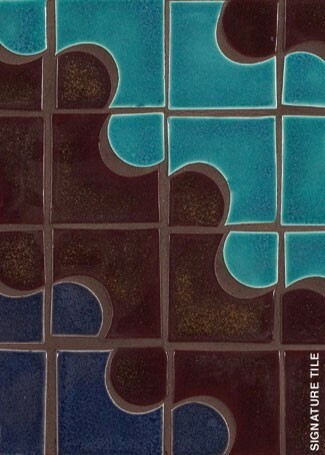 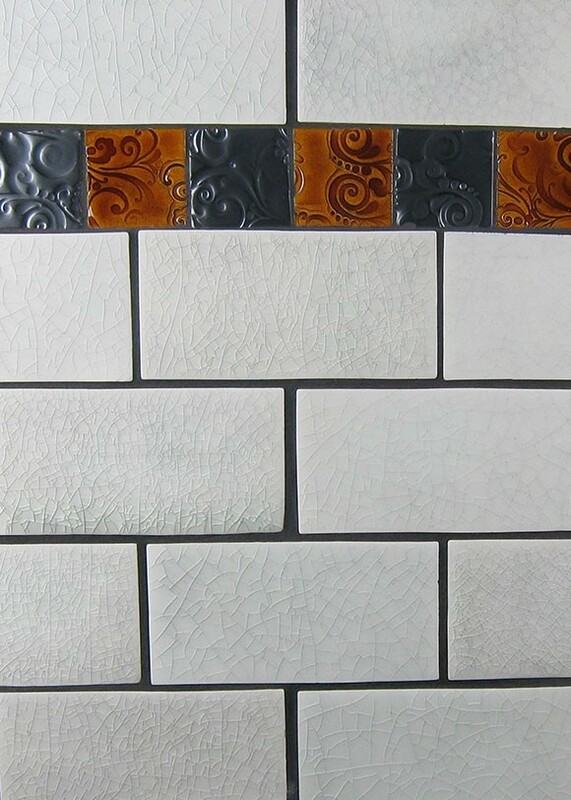 Mosaic Blend 2x2, 2x4 & 4x4 in Saphire #301. 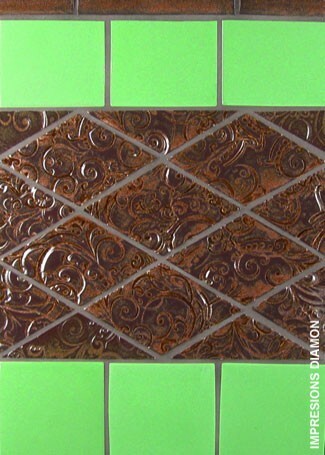 3x6 field in Subway pattern in Crackle #50. 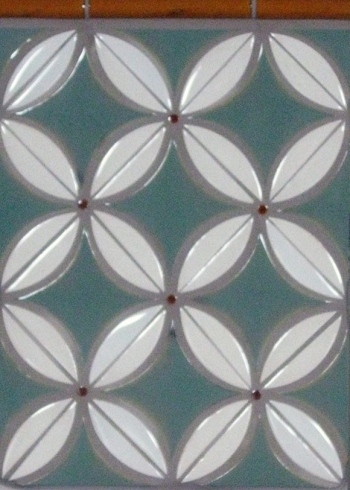 2xRandom field in Skyy #315. 1xRandom with 1x1 field in Flurry #73 and Olive #147. 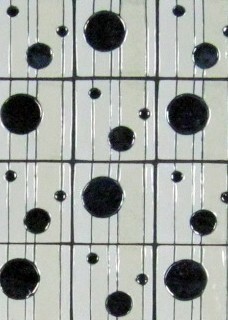 3x6 field in Subway pattern in Meadow #310. 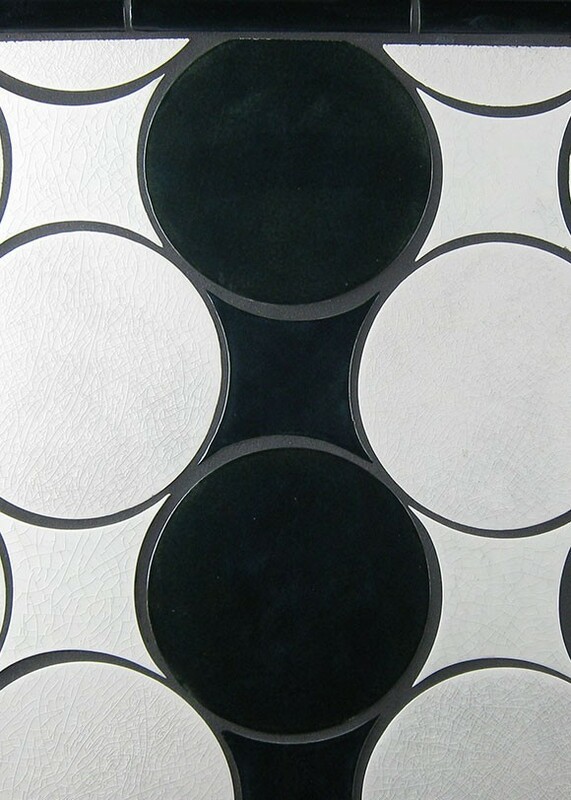 “DisqueO” cut-out circles 1” to 6” in Crackle #50. 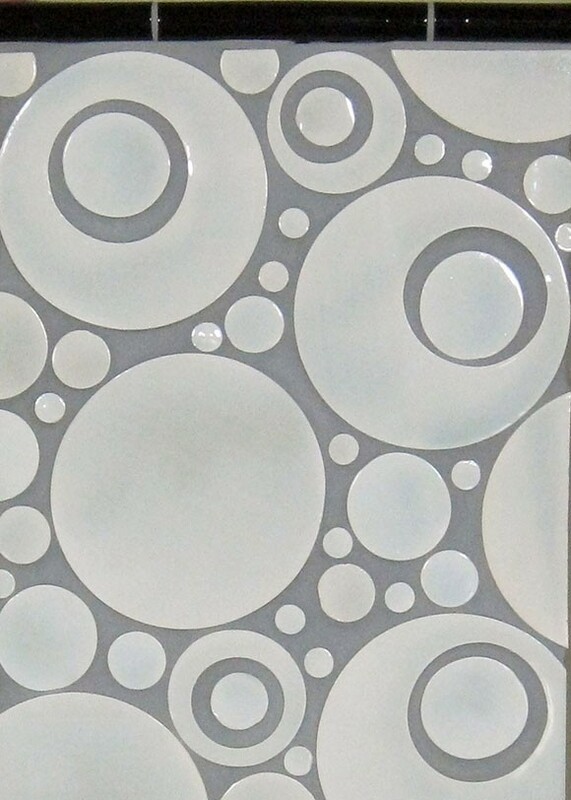 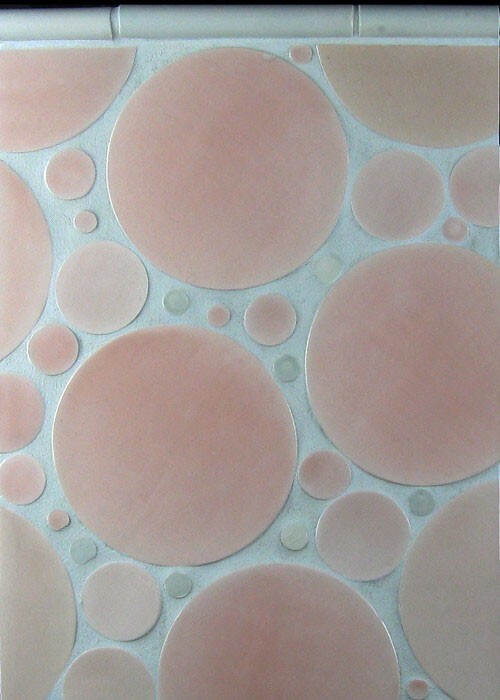 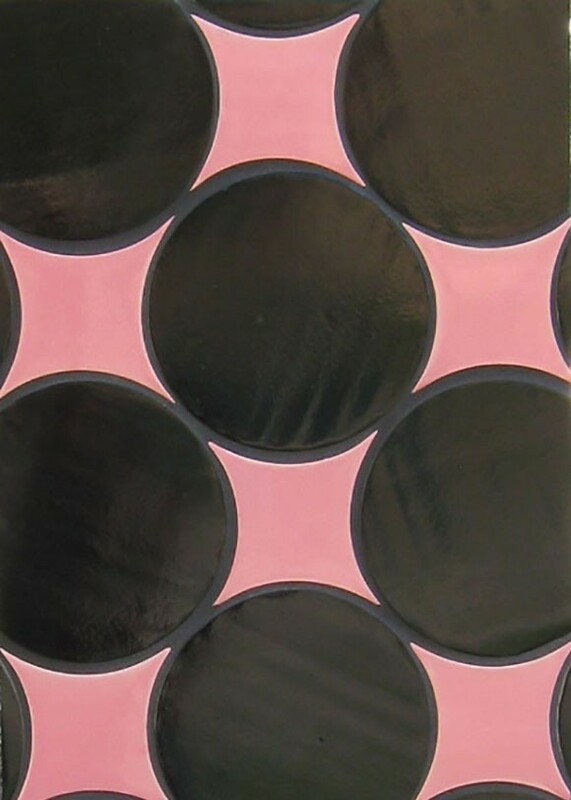 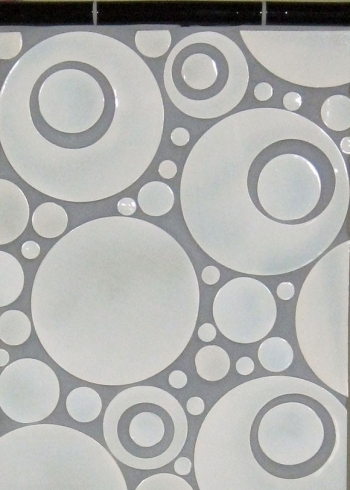 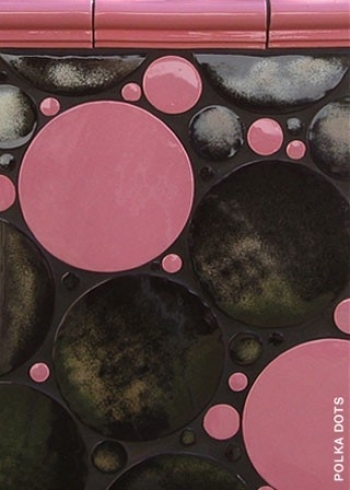 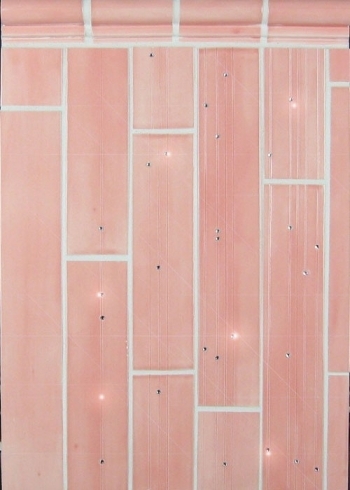 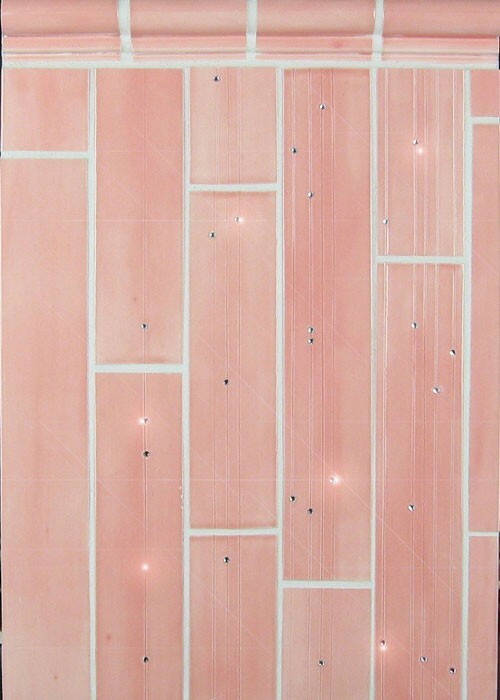 “Polka Dots” Circles from 1” to 6” in Pink Gloss. 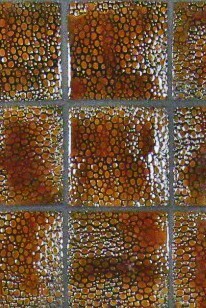 “Kaliedoscope” in Socialite #180 and Crackle #50. 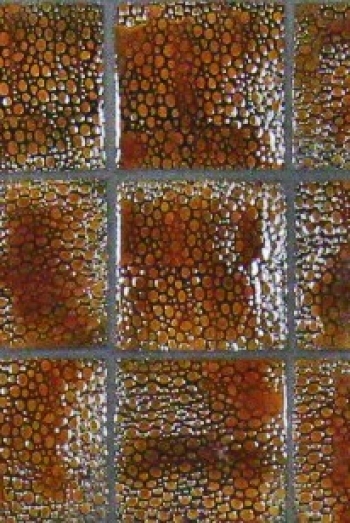 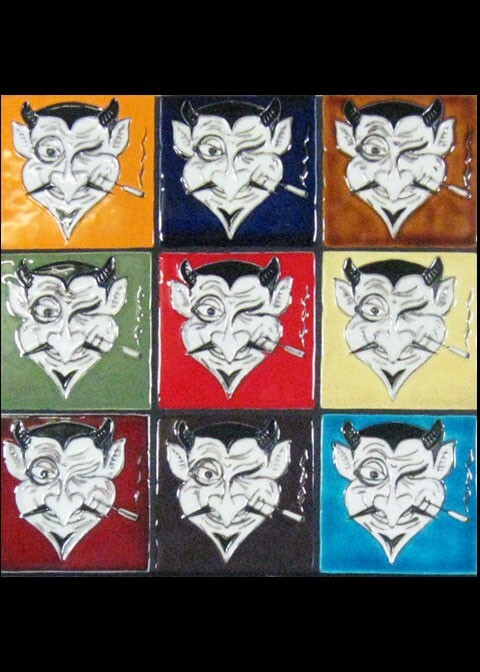 “Kaliedoscope” in Holland #95 and Crackle #50. 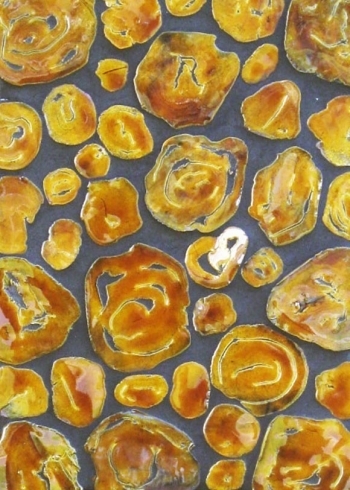 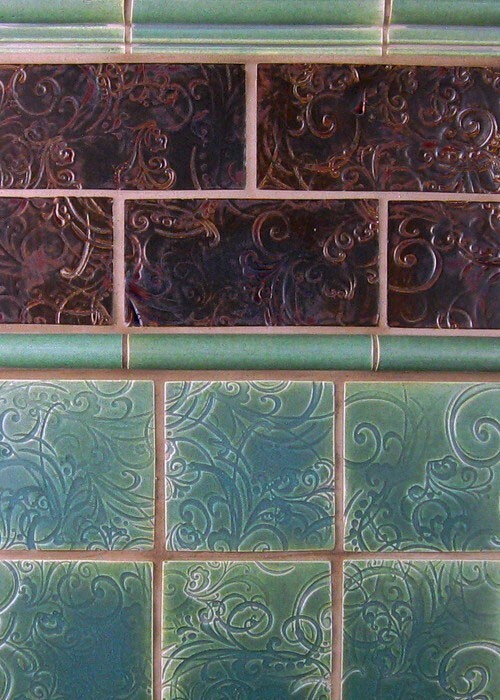 “Kaliedoscope” in Veruca #210 and Crackle #50. 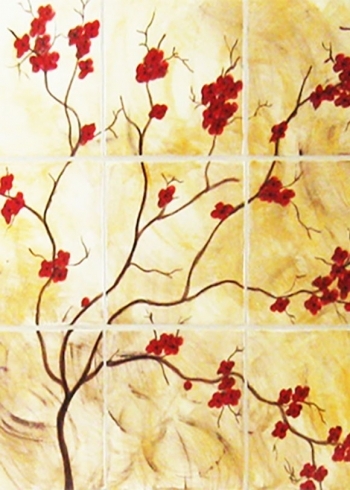 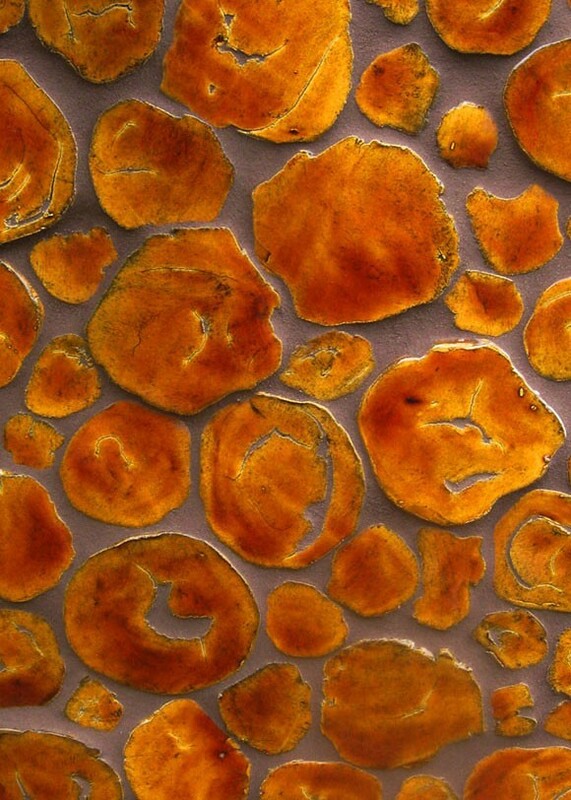 “Bloom” in Crackle #50 and Treasure #205 petals. 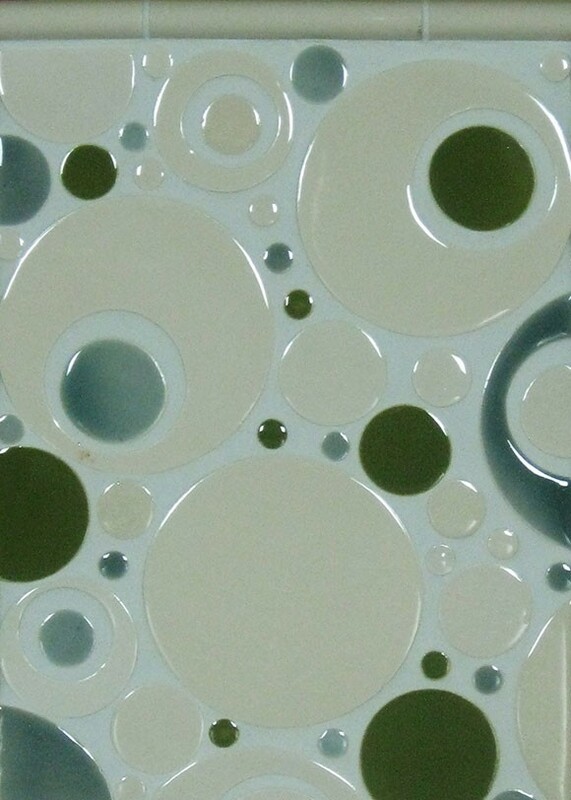 “Bloom” in Tea #222 with Treasure #205 petals. “Swirl” 4x4 and 3x6 in EspressO #65 and Socialite #180. 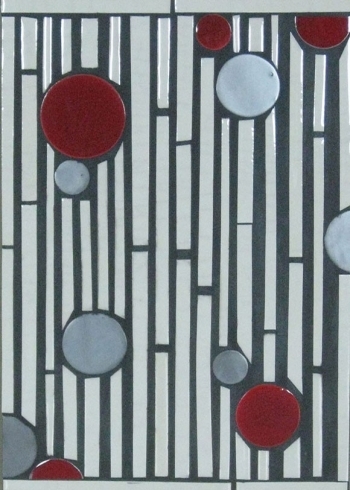 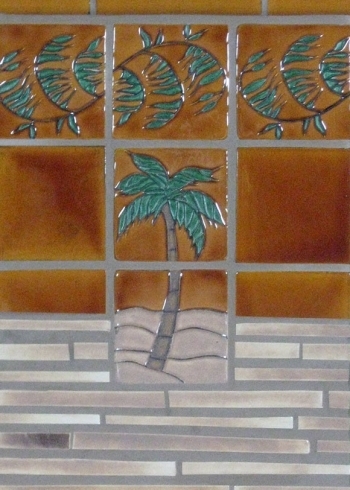 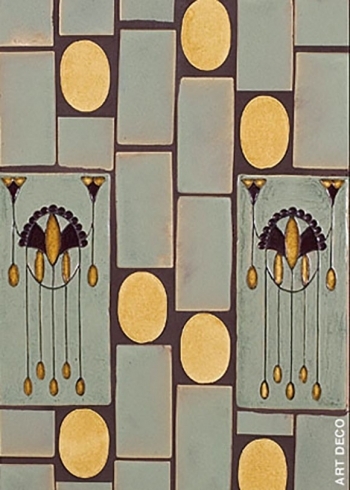 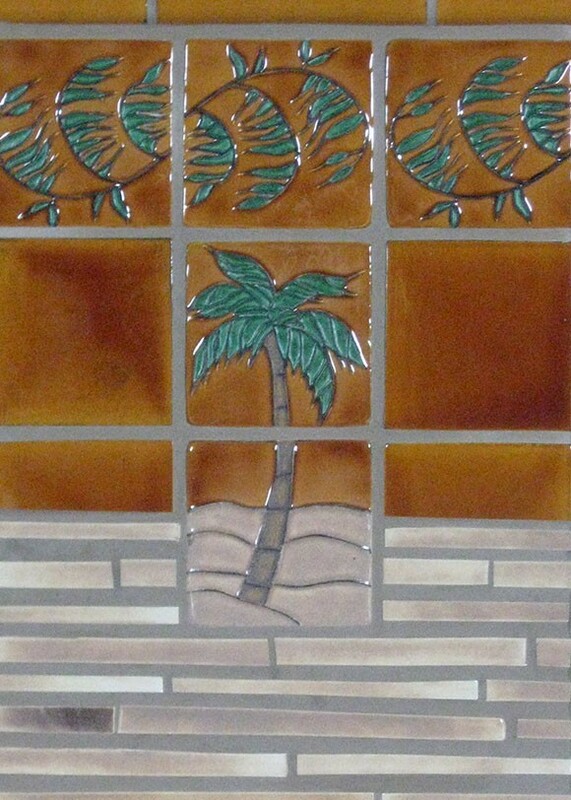 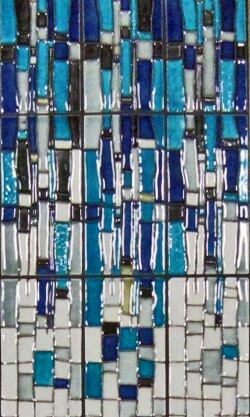 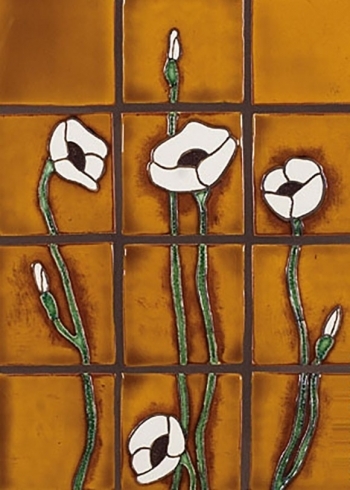 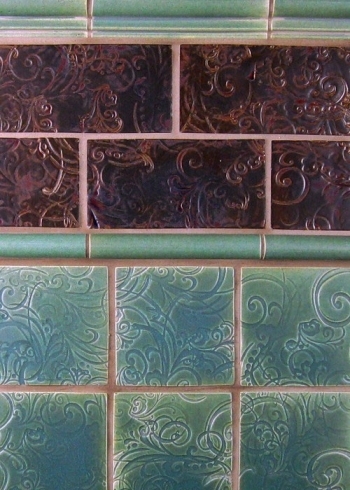 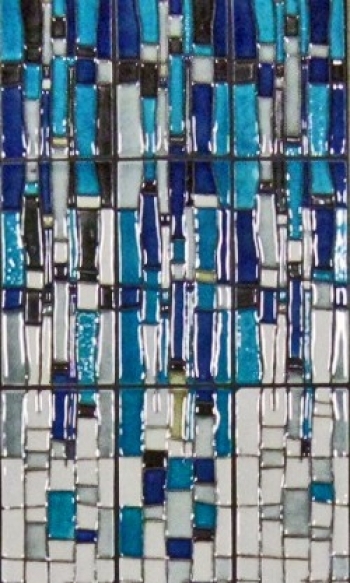 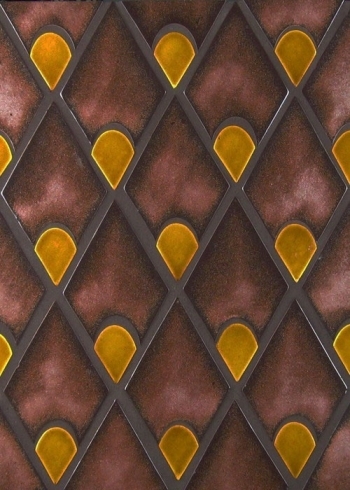 “Tiffany” 6x12 deco in Crackle #50 and Snap #175. “Swirl” 6x6 and 2x2 in Majestique #118 and Snap #175. 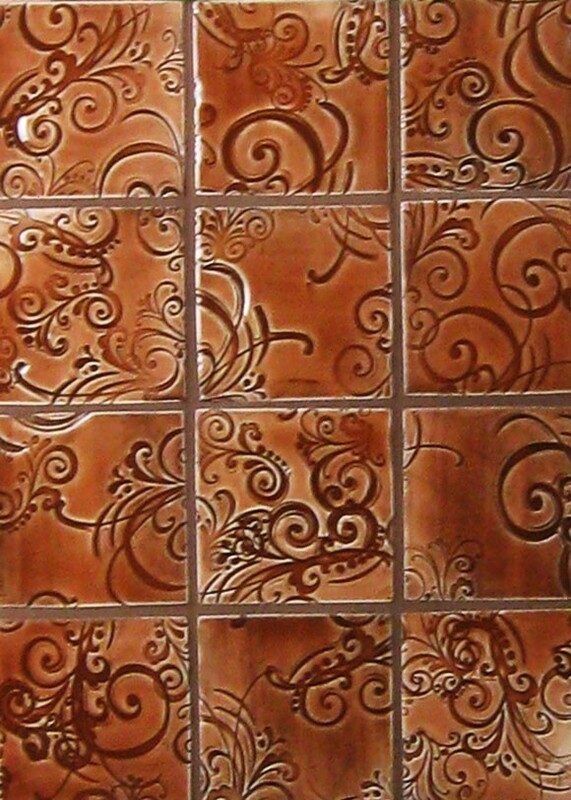 “Impressions” Swirl in Walnut #305. 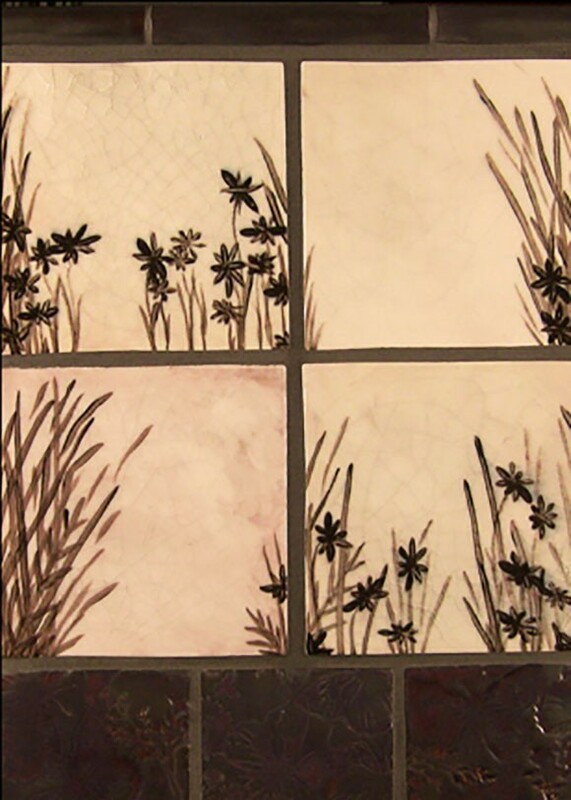 “Botanical” in sepia tone POP #153. 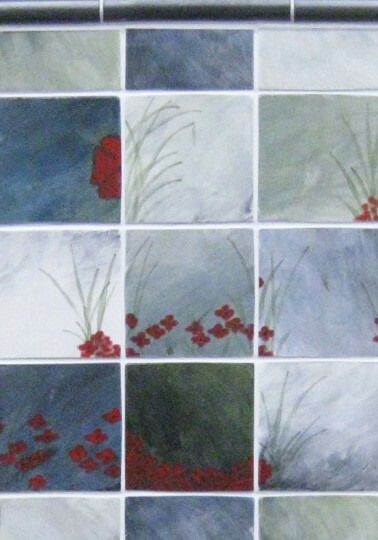 “TEXTiles” 4x4 in Crackle #50 and Griffen #85. “Swirl” diamonds in Treasure #205. 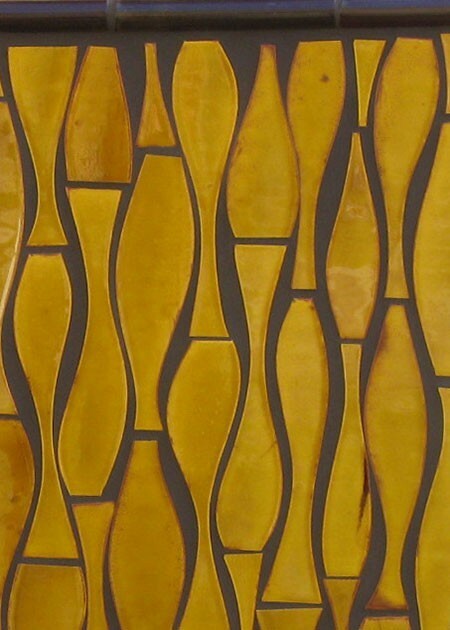 “Swirl” 4x4 in Griffen #85 and Crackle #50 field. 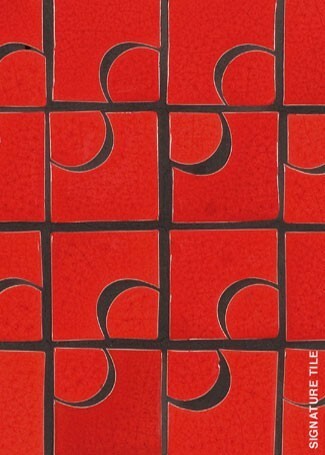 2x2 2-piece modular tile system.